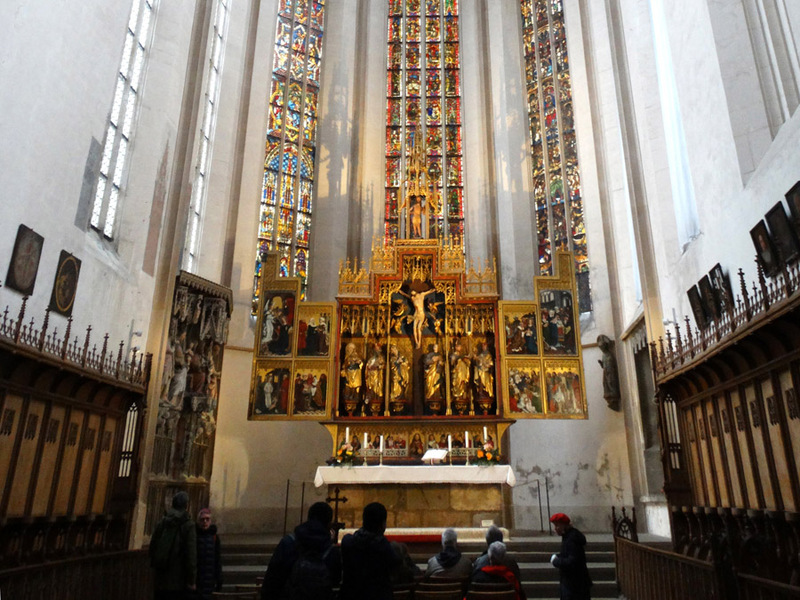 Rothenburg Cathedral, on the pilgrimage route to St. James, was begun in 1311. 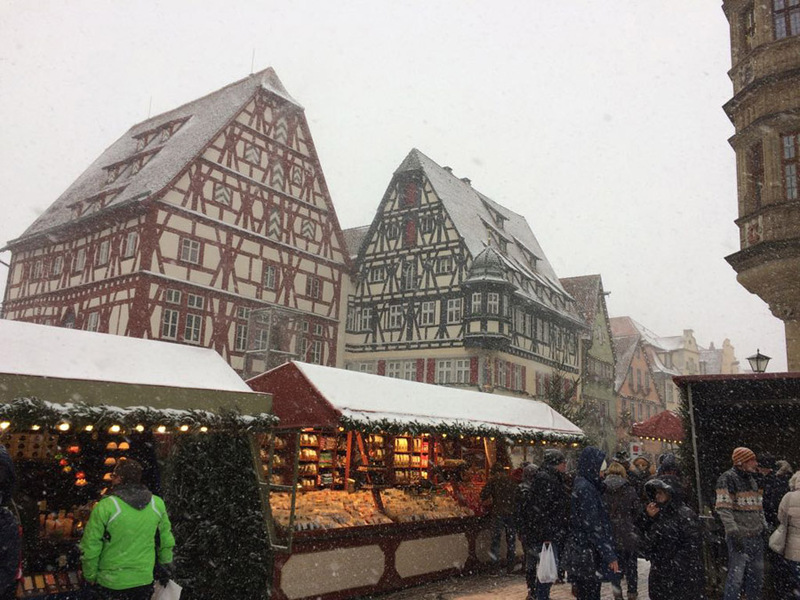 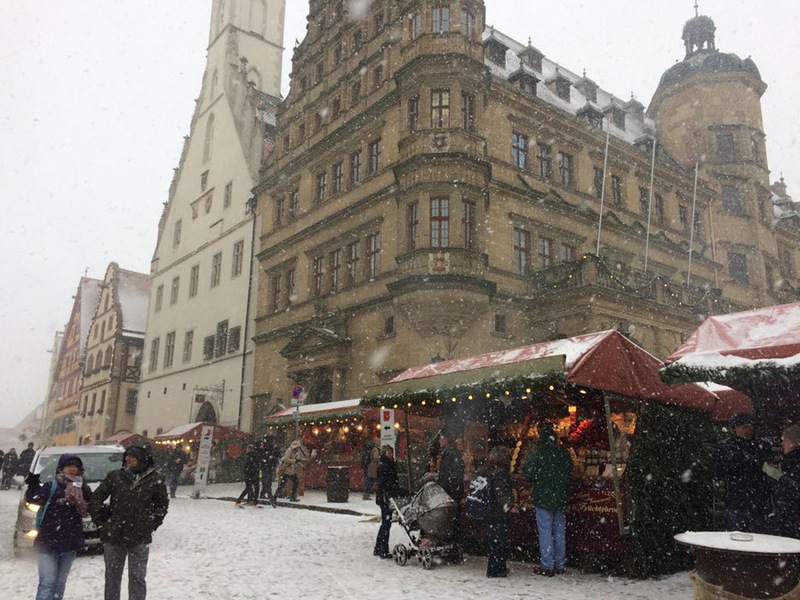 Rothenburg's mainChristmas Market is on the twon square. 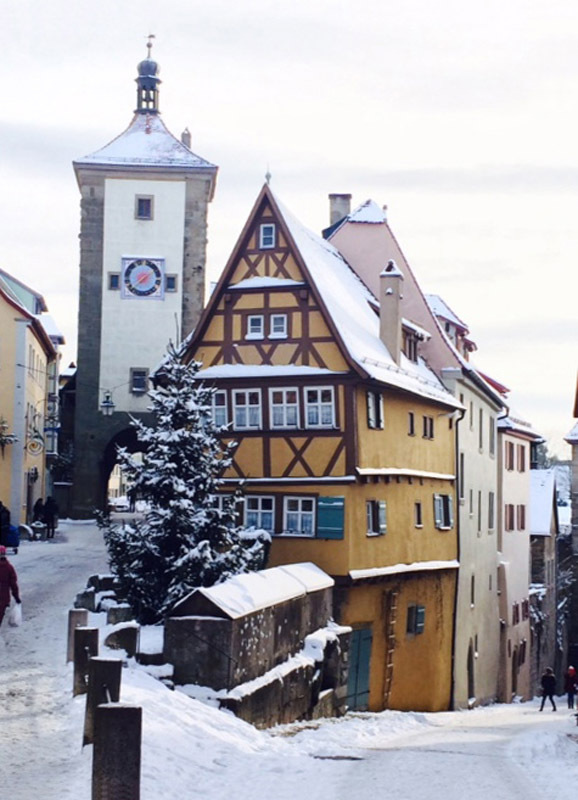 Rothenburg's Town Hall dates from 1250. 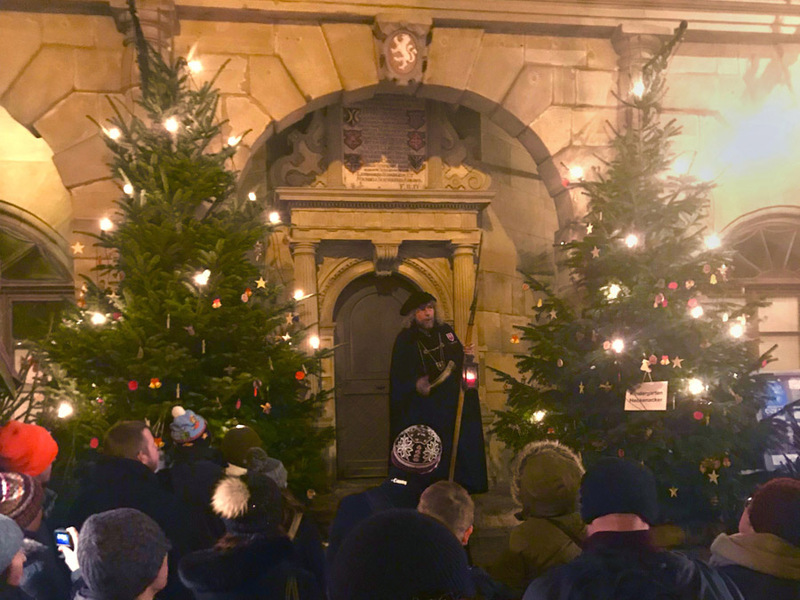 The Night Watchman leads walking tours through town after dark.. 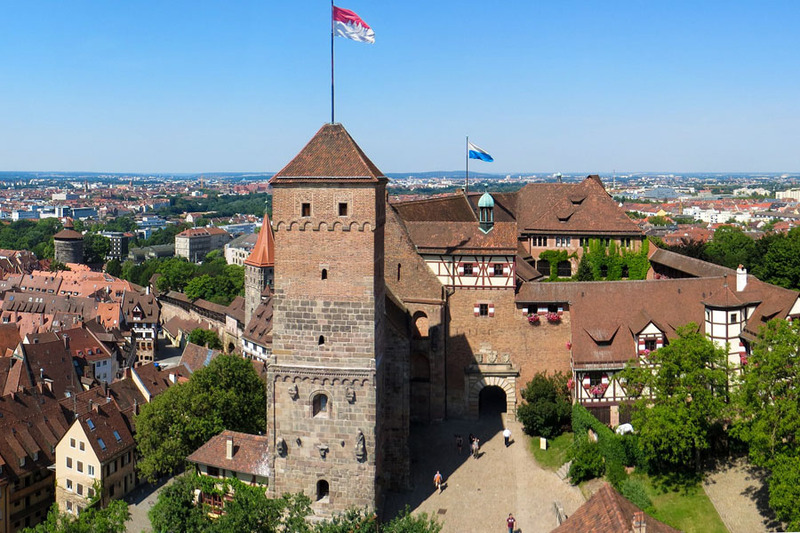 The castle is one of Europe's most formidable medieval fortifications. 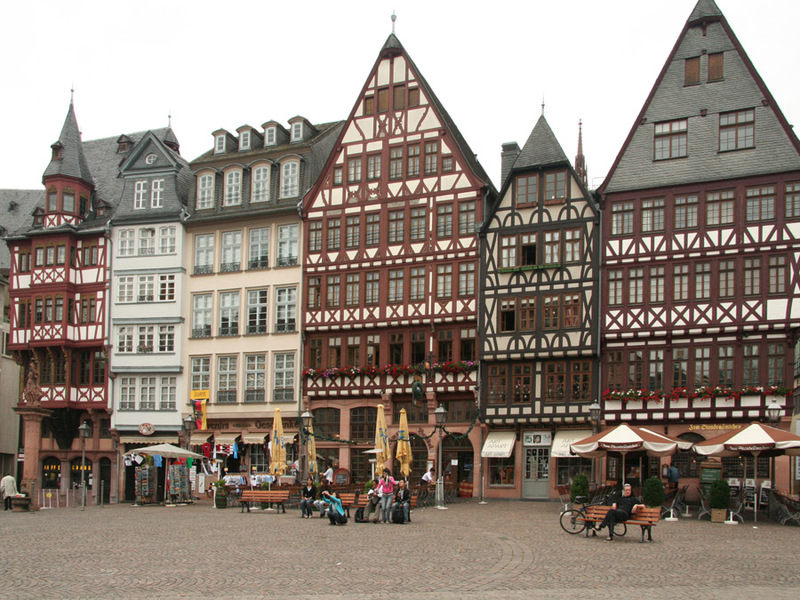 Historian believe that the market dates from the early 1600s. 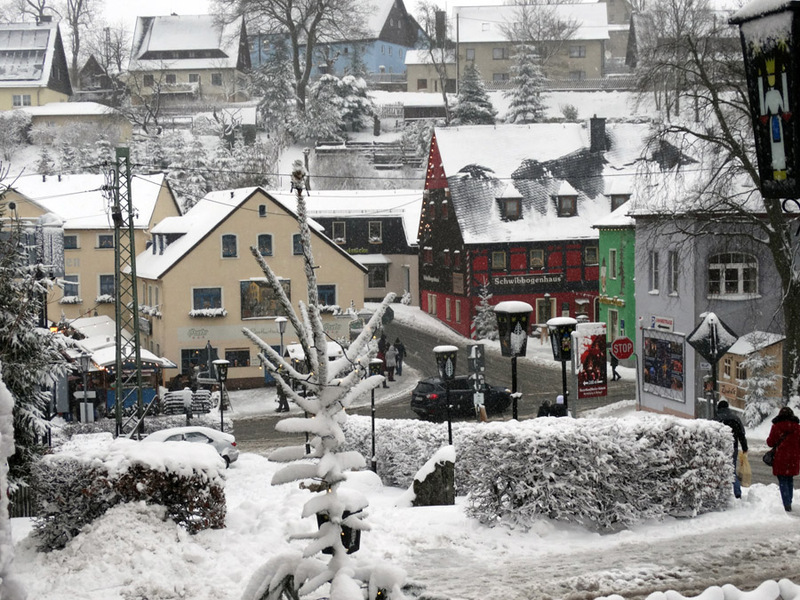 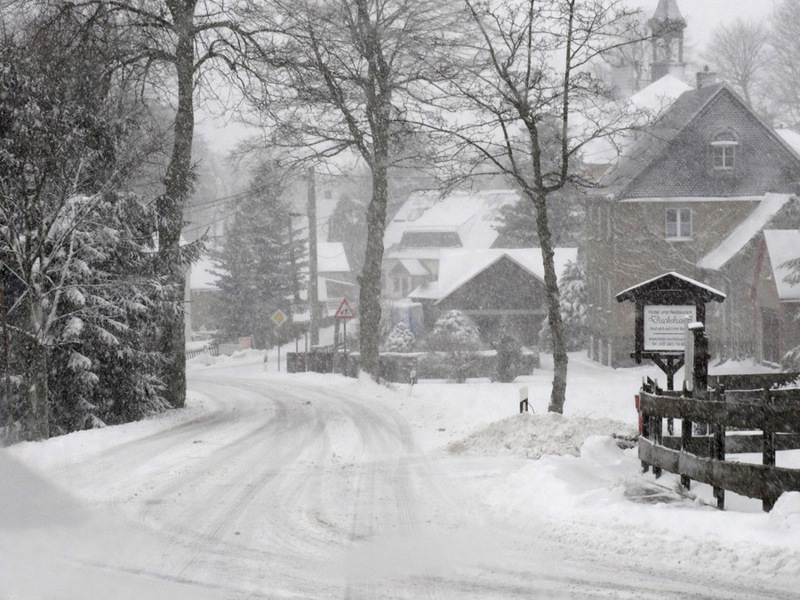 Seiffen is a small toy manufacturing town in the Ore Mountains. 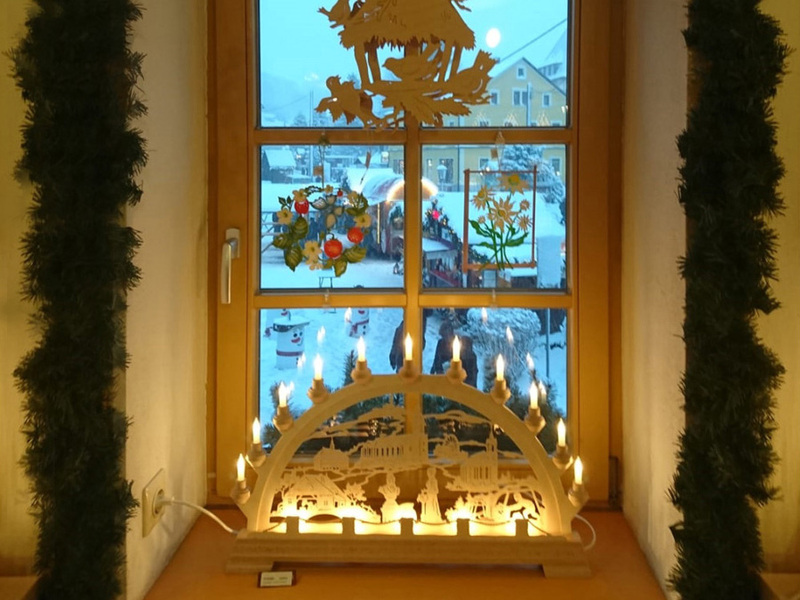 Christmas is an especially important time of year for Seiffen's crafts people. 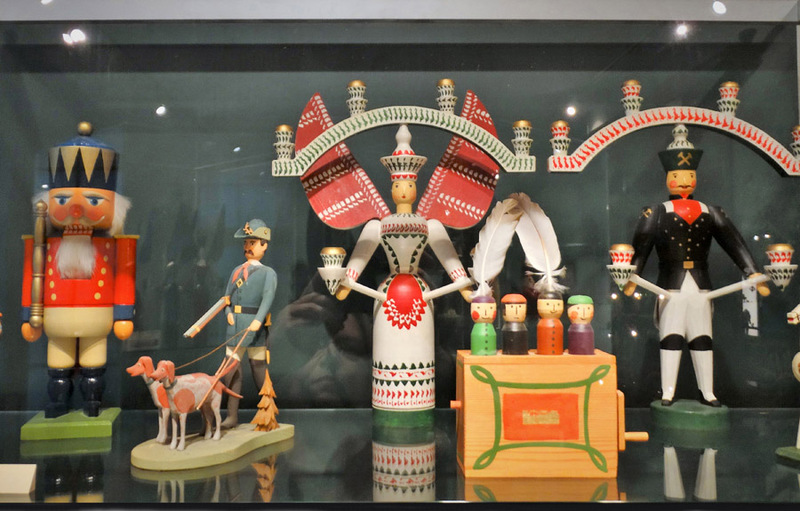 ... pyramids, candle arches, nutcrackers, and miniatures in various designs. 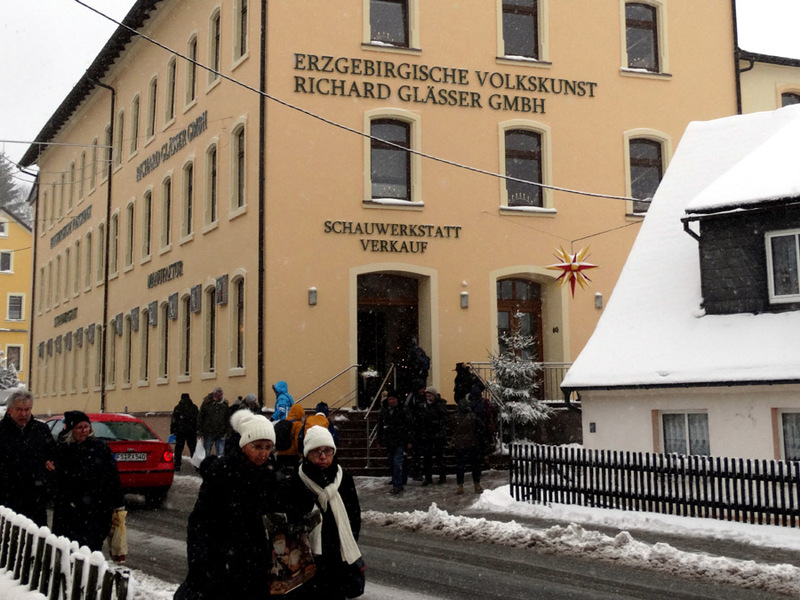 We tour the Richard Glasser figures workshop, one of the town's largest. 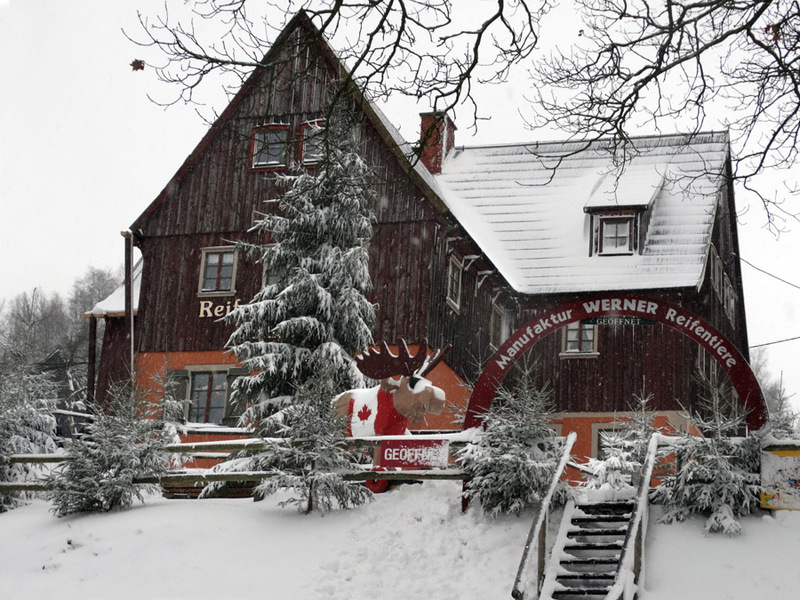 But there are lots of smaller workshops, like Werner Reifentiere. 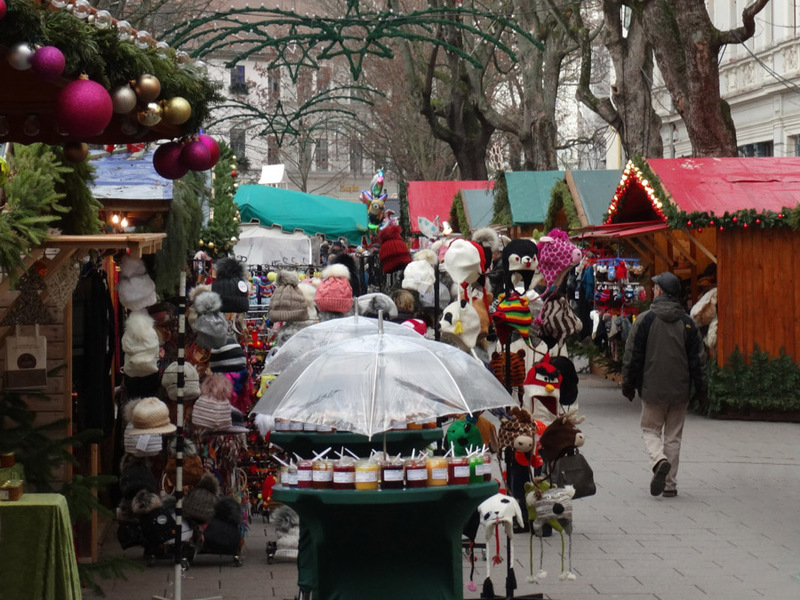 All sorts of figures, toys, and decorations are on offer in Seiffen. 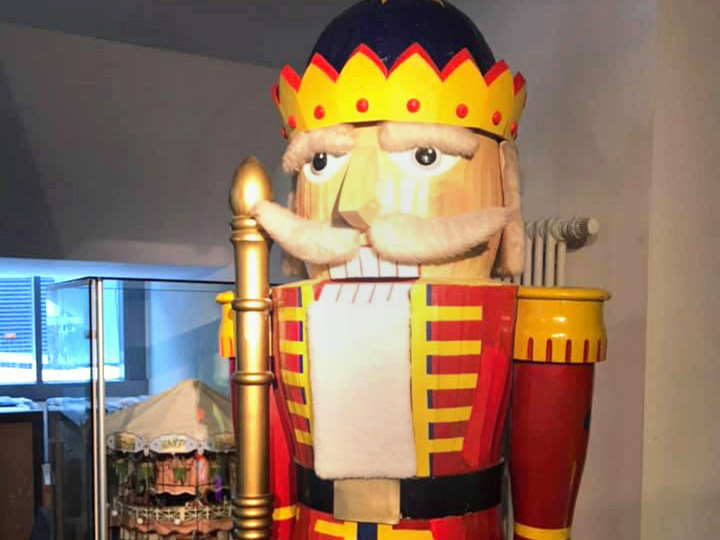 Giant nutcracker. 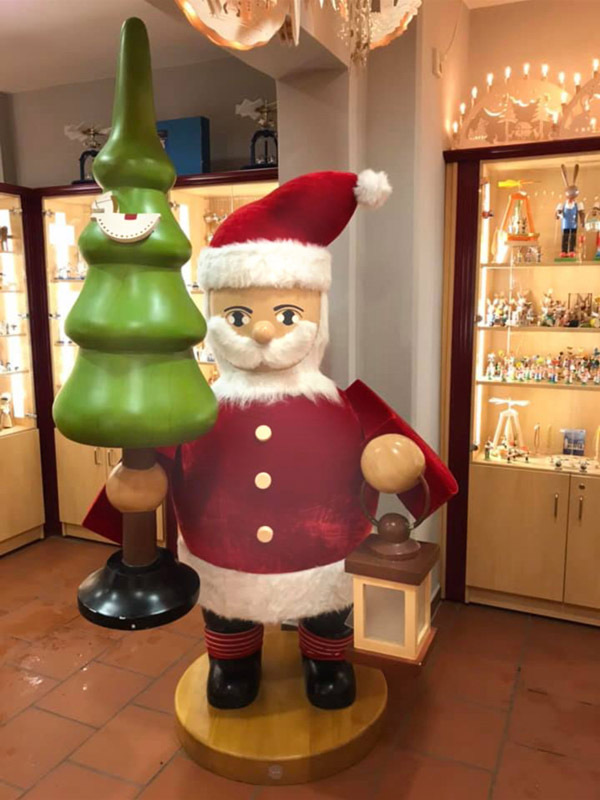 Most are actually reasonably small. 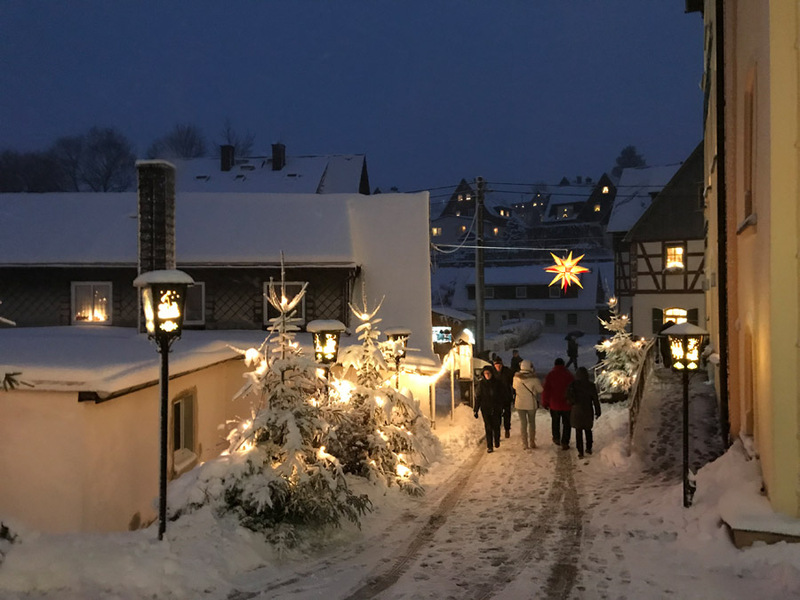 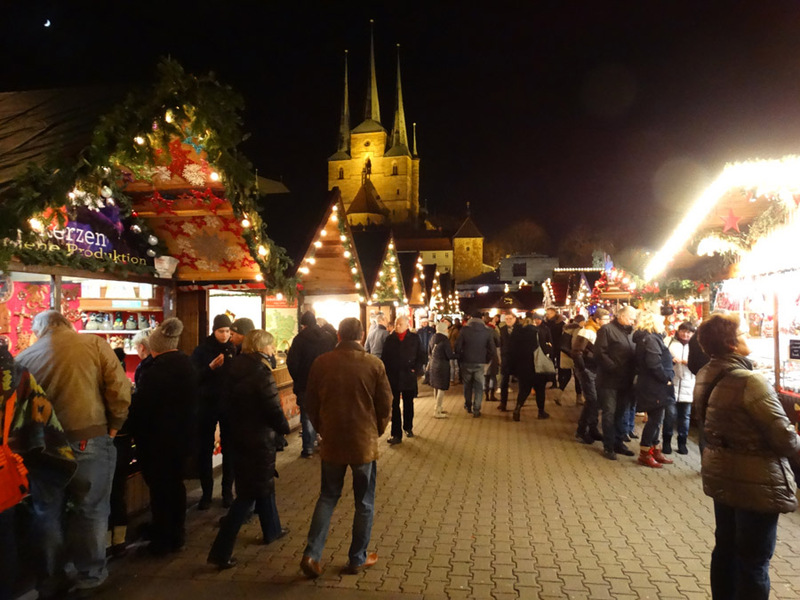 Seiffen's Christmas market stretches along the town's manin street. 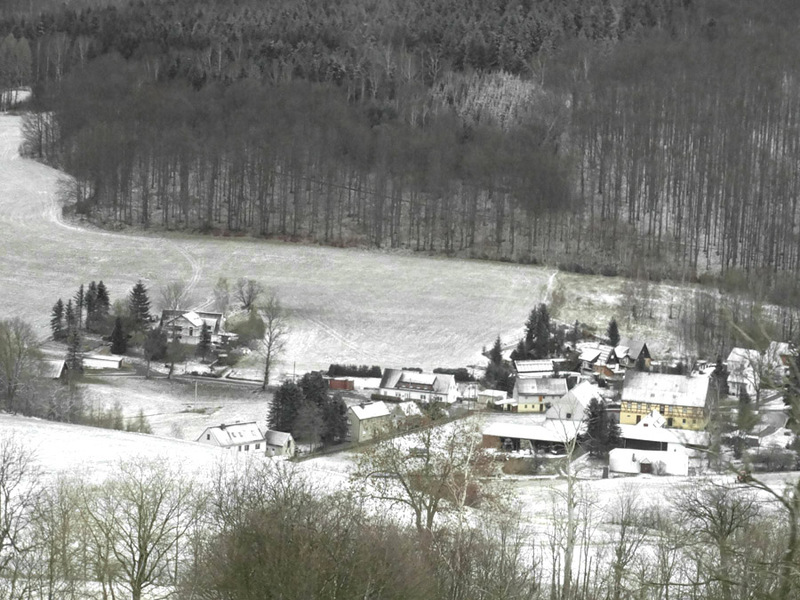 A small hamlet north of Seiffen. 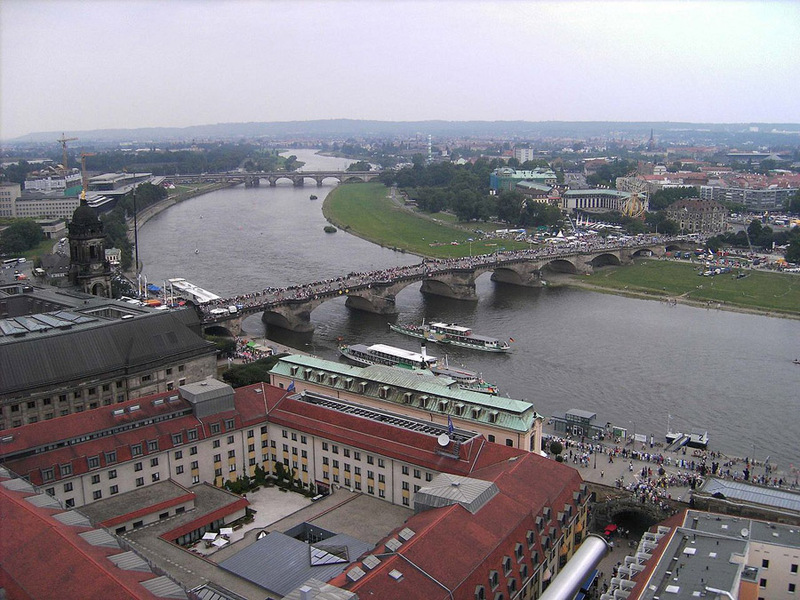 Dresden straddles the Elbe River, and has been called the Florence of the Elbe. 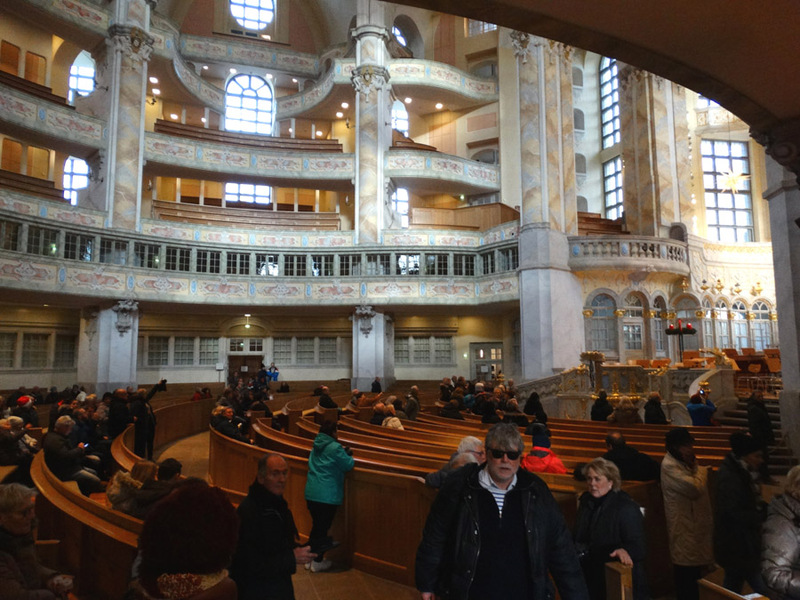 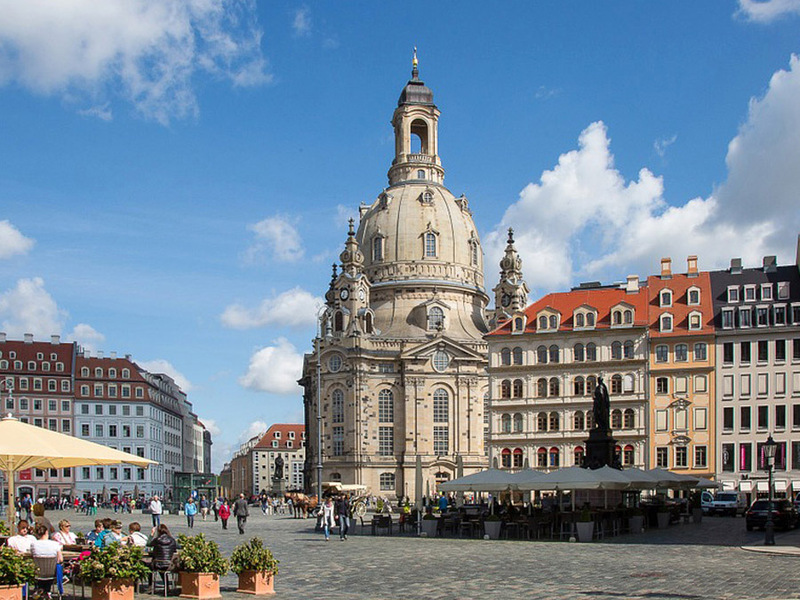 Dresden's majestic Frauenkirche was reconstructed after WW II. 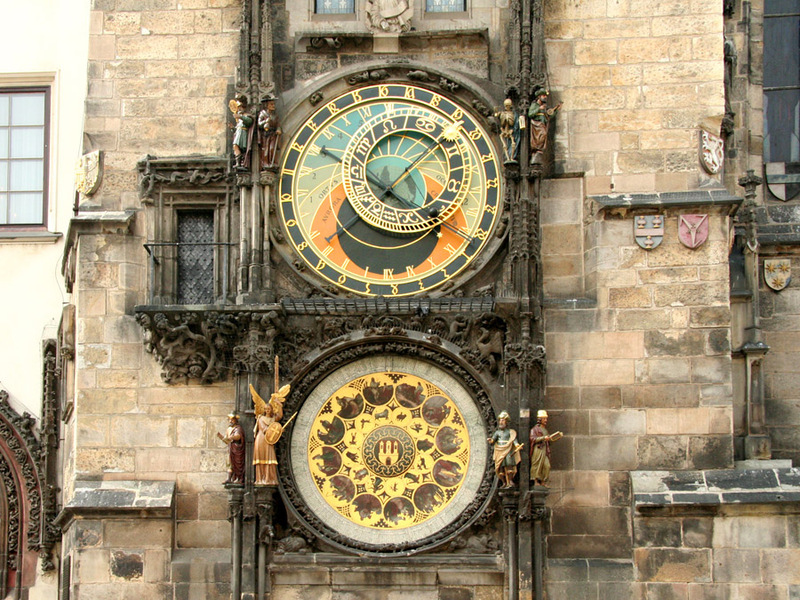 The exterior was completed in 2004, the interior a year later. 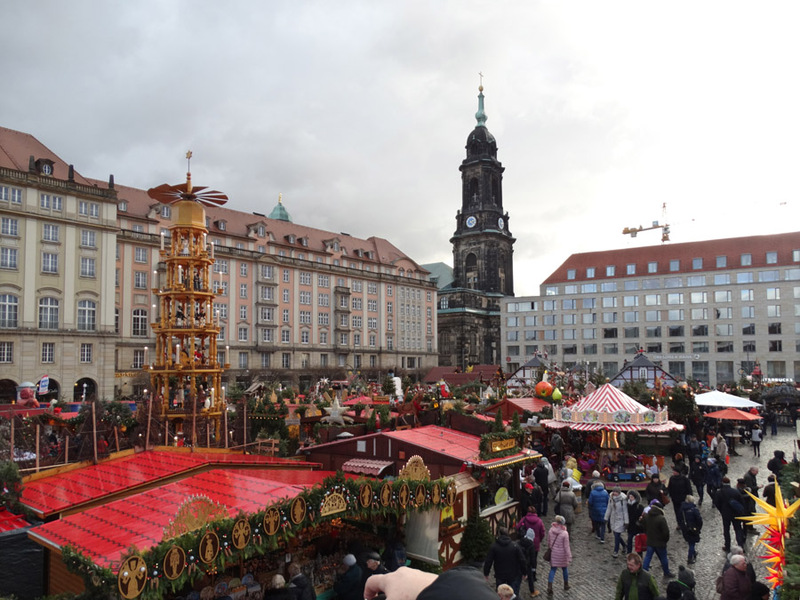 Dresden's Christmas Market, one of Germany's oldest, dates back to 1434. 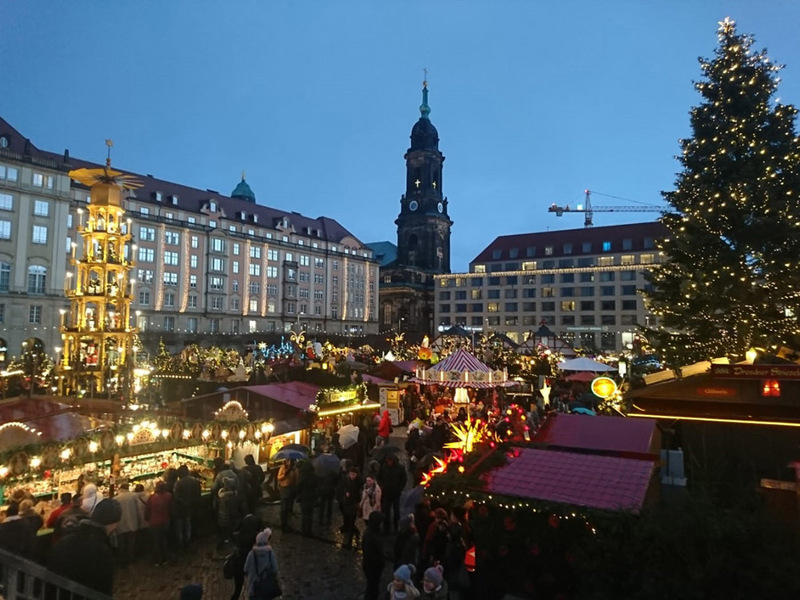 The main part of Dresden's Christmas Market is in the heart of the old town. 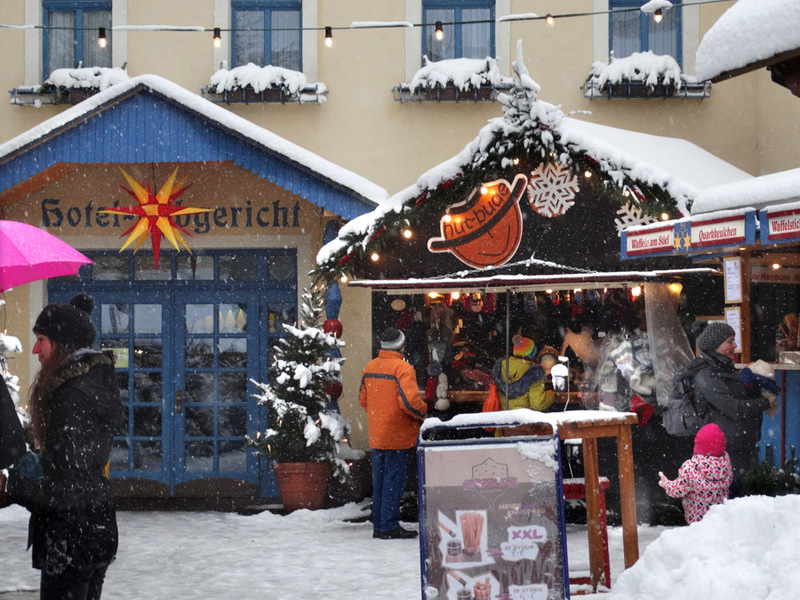 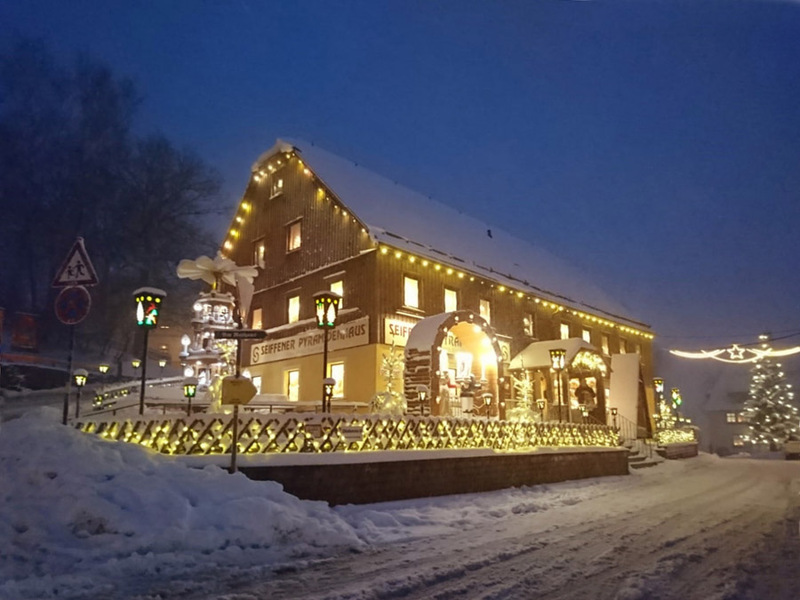 The Market is famous for its Stollen, a light fruitcake, and snacks like Baumkuchen. 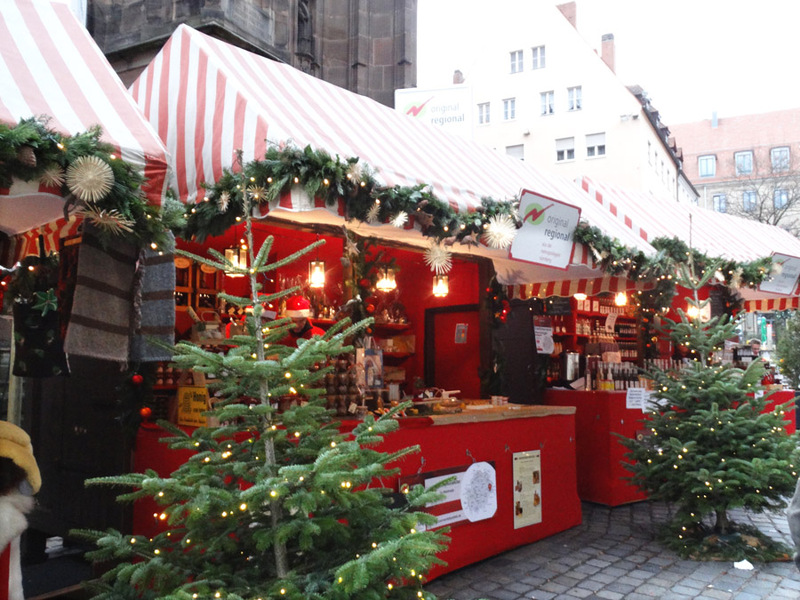 The scent of mulled wine and Christmas music spreads across the city. 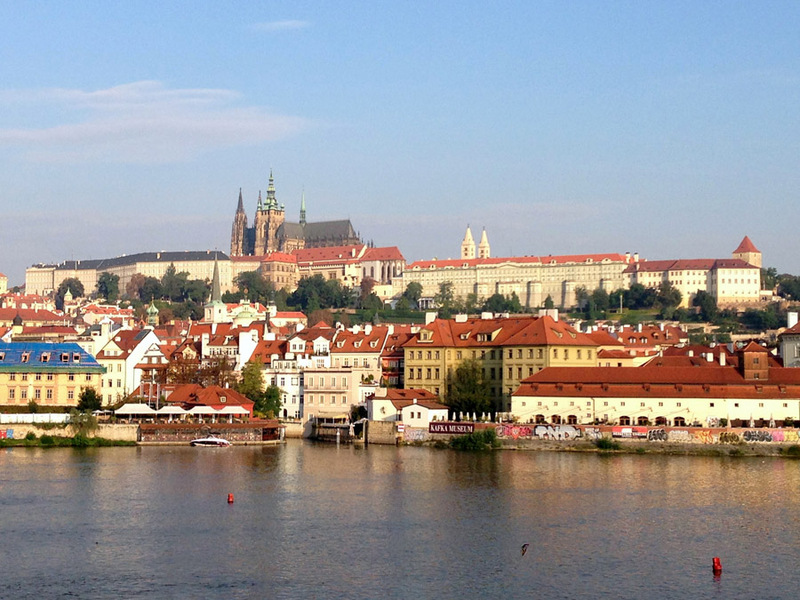 The massive Prague Castle, the world's largest, is really a city within a city. 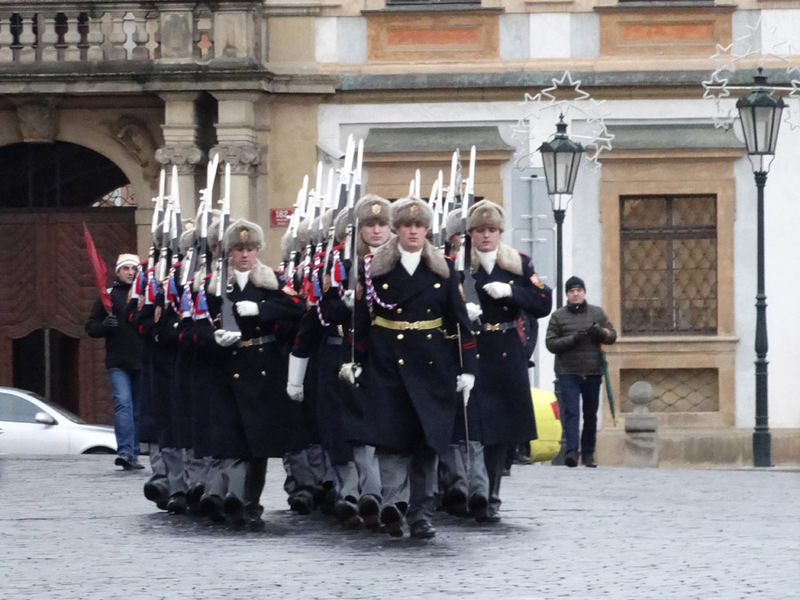 The Changing of the Guard ceremony at Prague Castle's main gates. 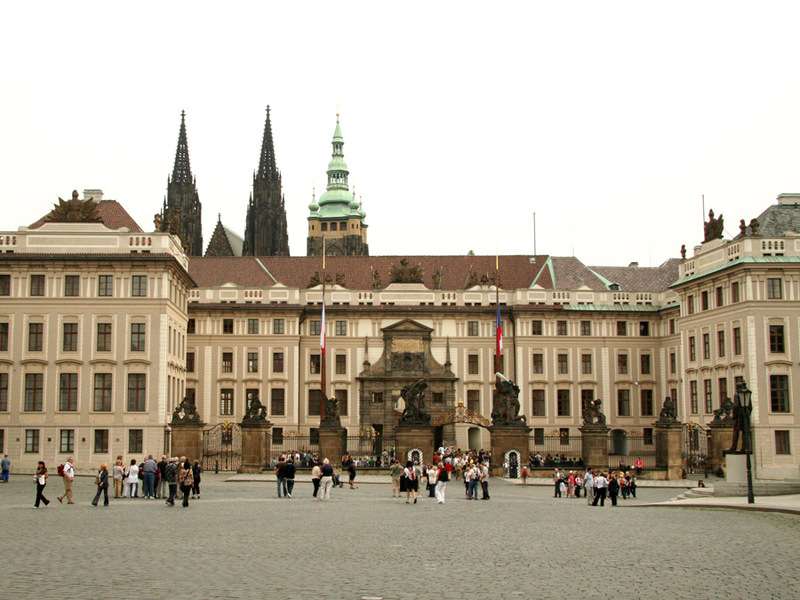 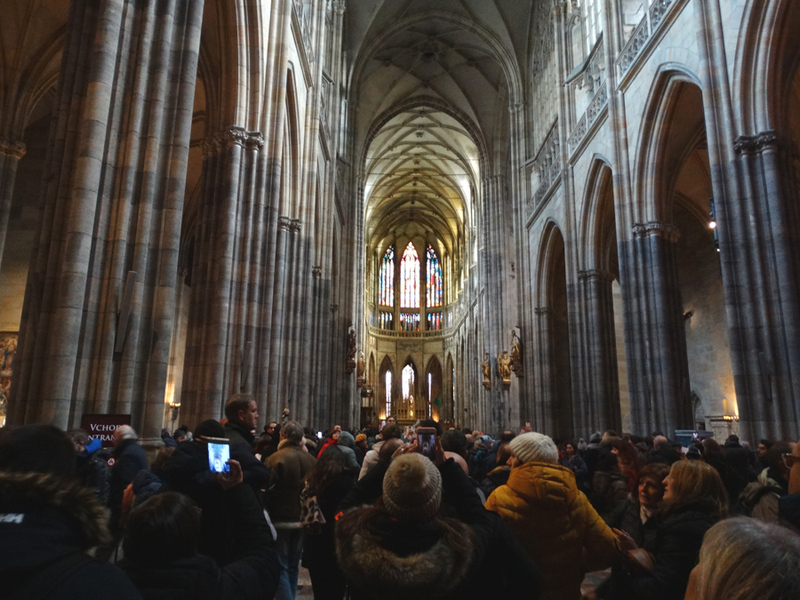 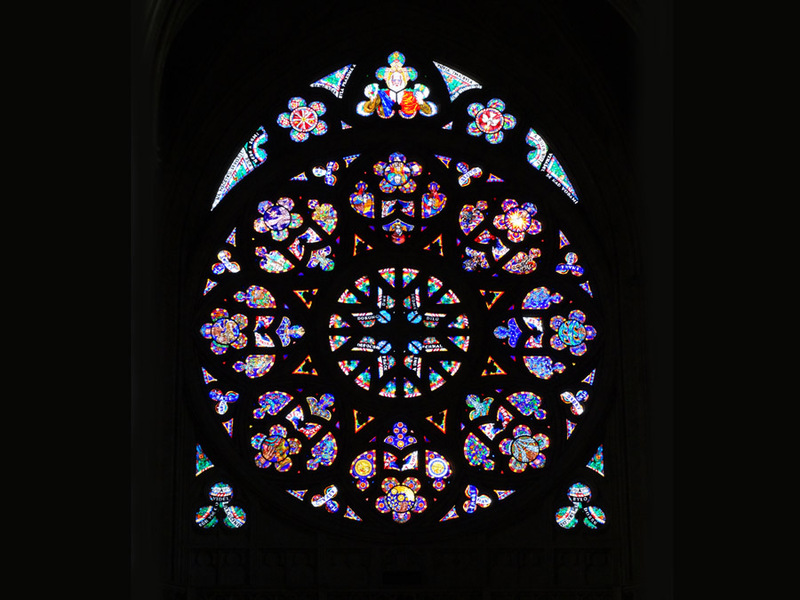 St. Vitus Cathedral, Czech Republic's most important, is located in Prague Castle. 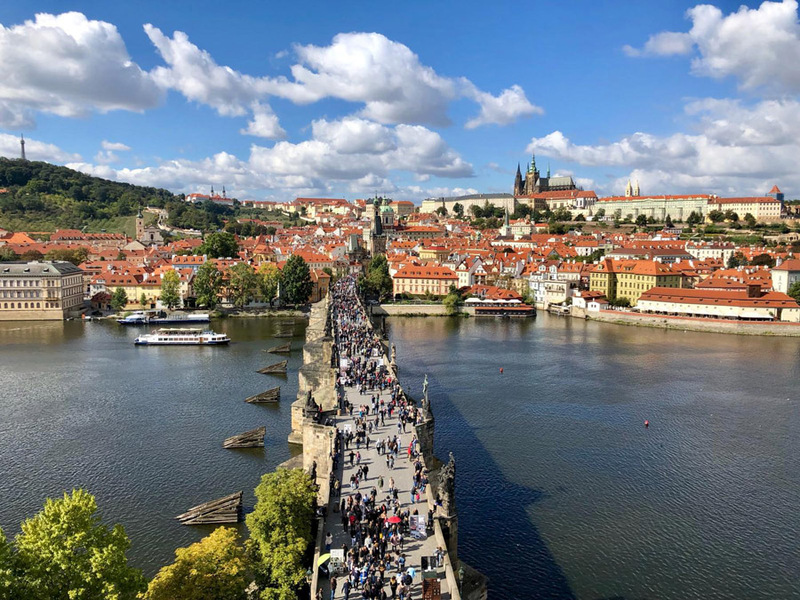 The Charles Bridge across the Vitava River was built over 50 years from 1357. 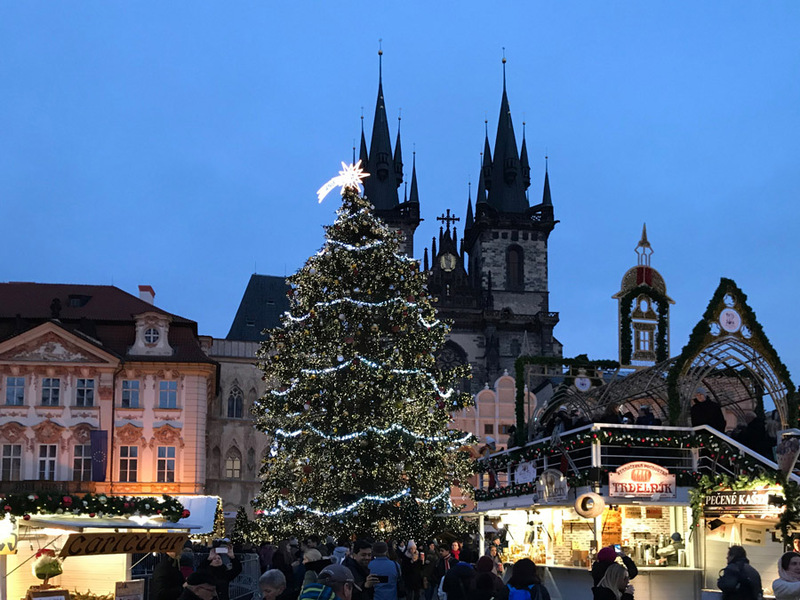 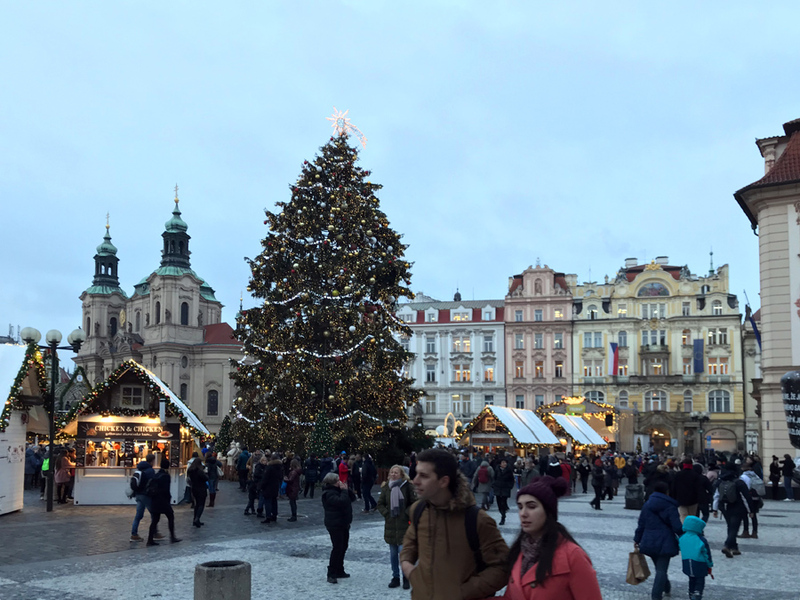 Prague's main Christmas Market is located in the central Old Town Square. 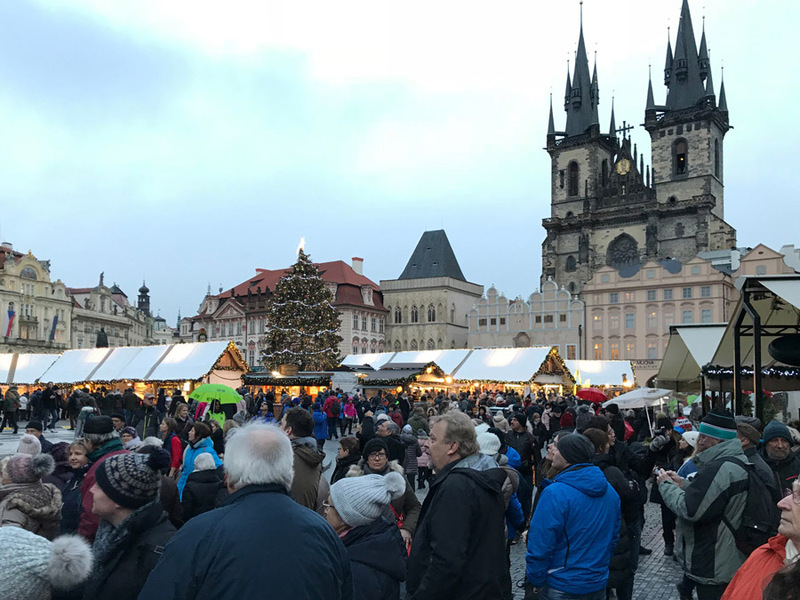 There are also markets at Wenceslas Square and at Prague castle. 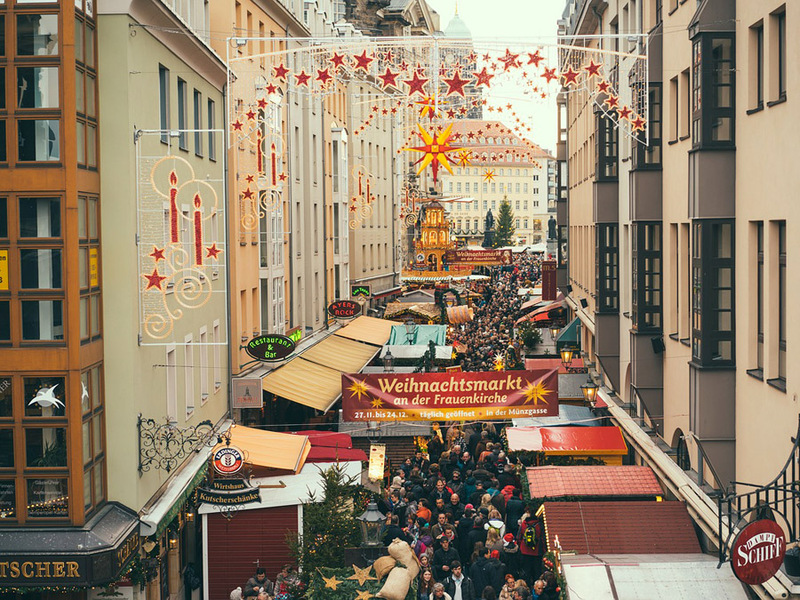 The most popular treats are spicy meats, gingerbread, and sweet cakes. 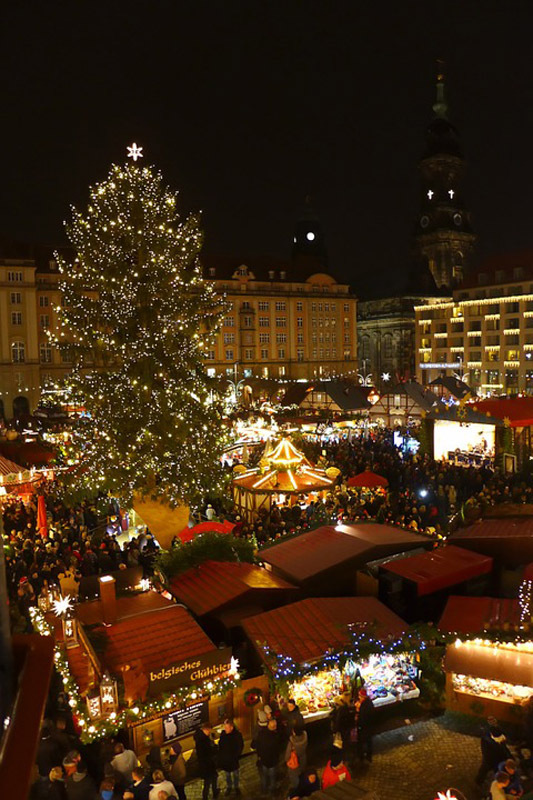 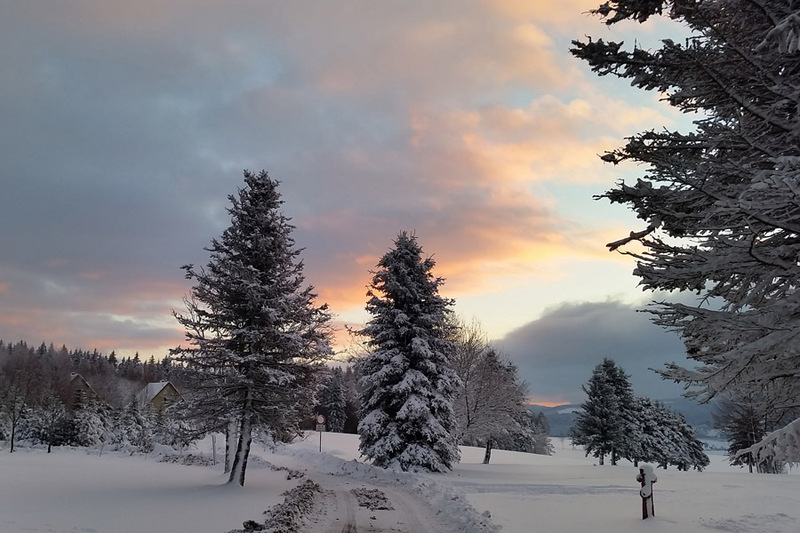 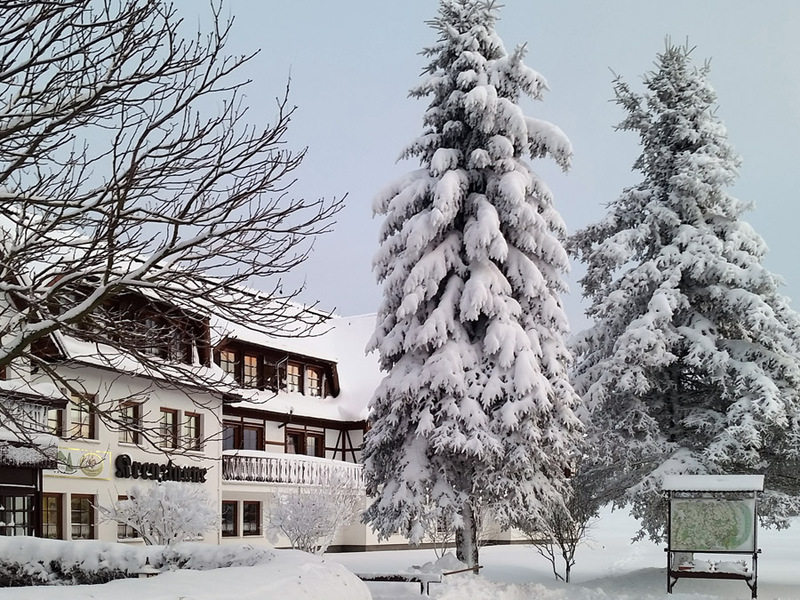 The Old Town Square's Christmas tree is from the Republic's Liberec region. 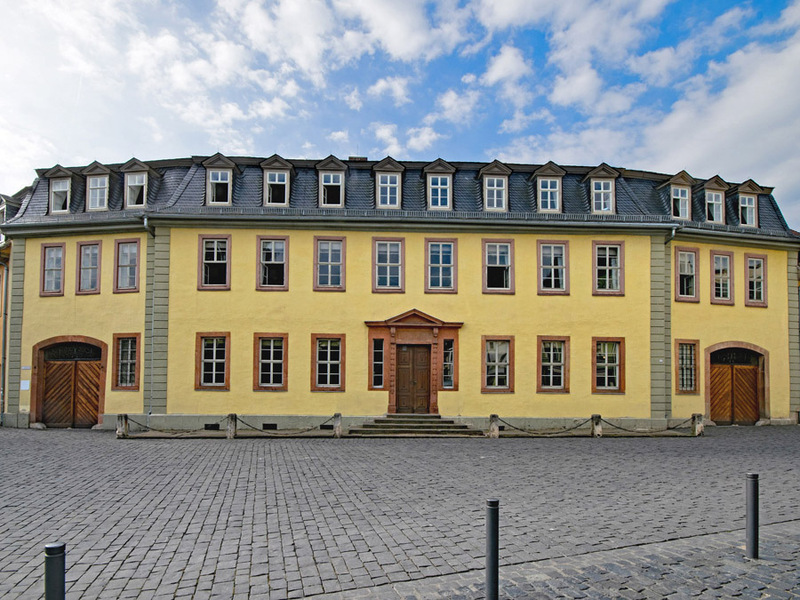 Enlightened Weimar was the home of German writers Goethe and Schiller. 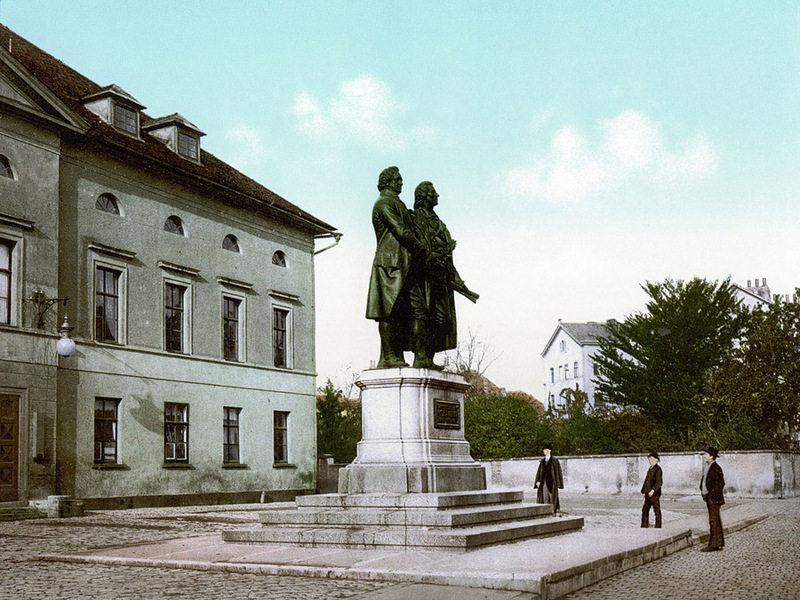 Goethe's house is now the main location of the Goethe-Nationalmuseum. 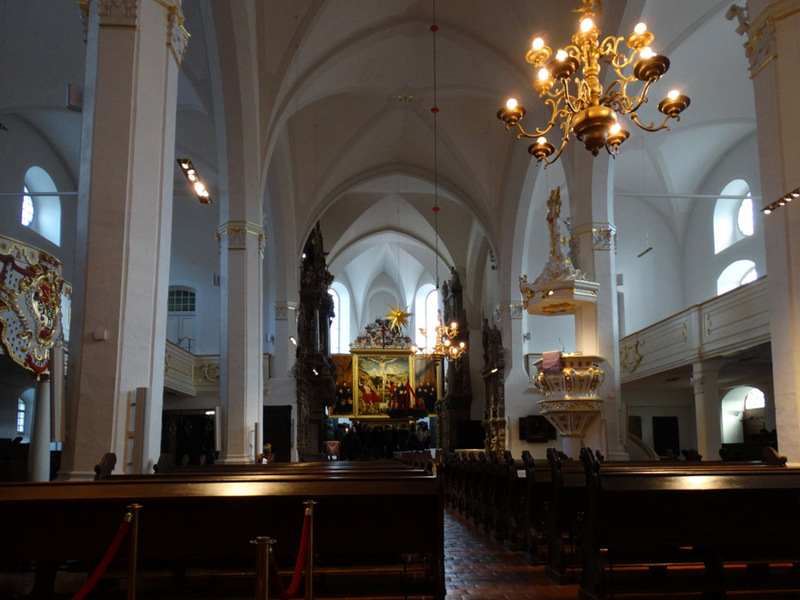 The Church of Sts Peter and Paul, Lutheran since 1525, after the Reformation. 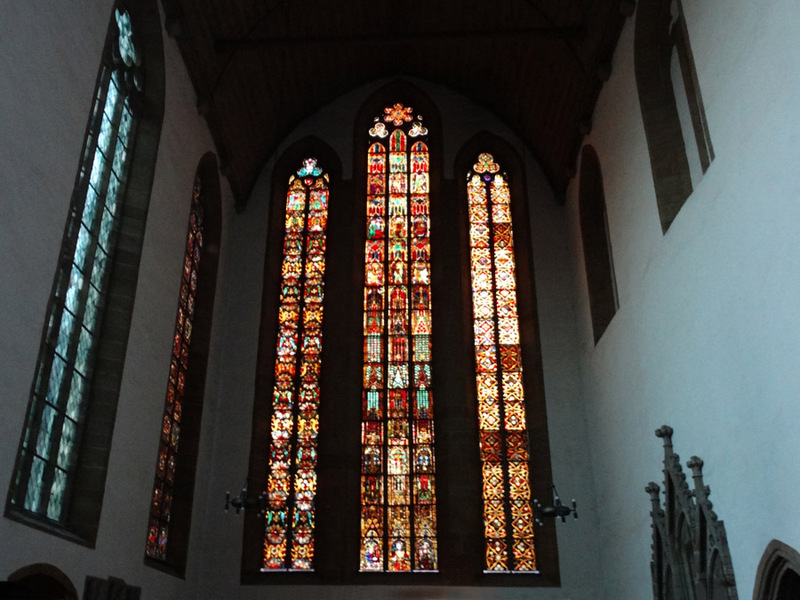 Martin Luther gave sermons and J.S. 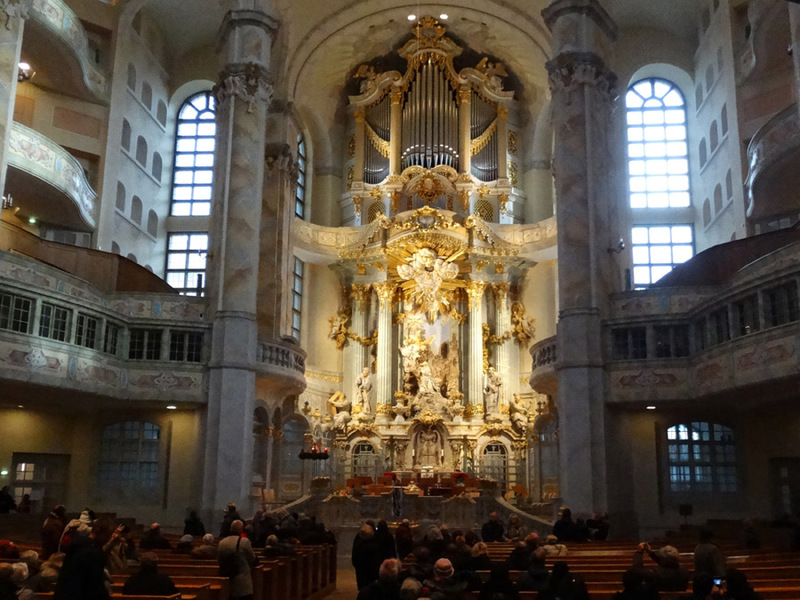 Bach often played at this church. 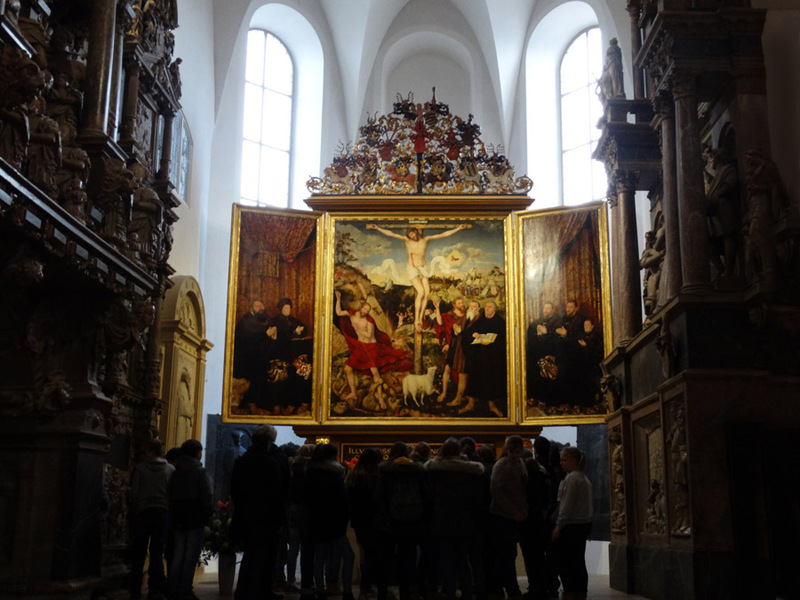 The altar's triptych image, Christus am Kreuz, dates from the mid 1500s. 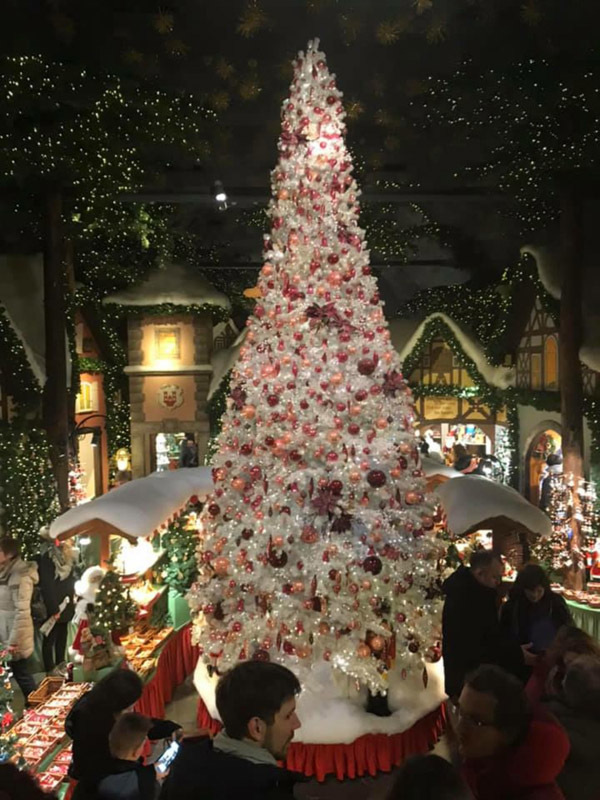 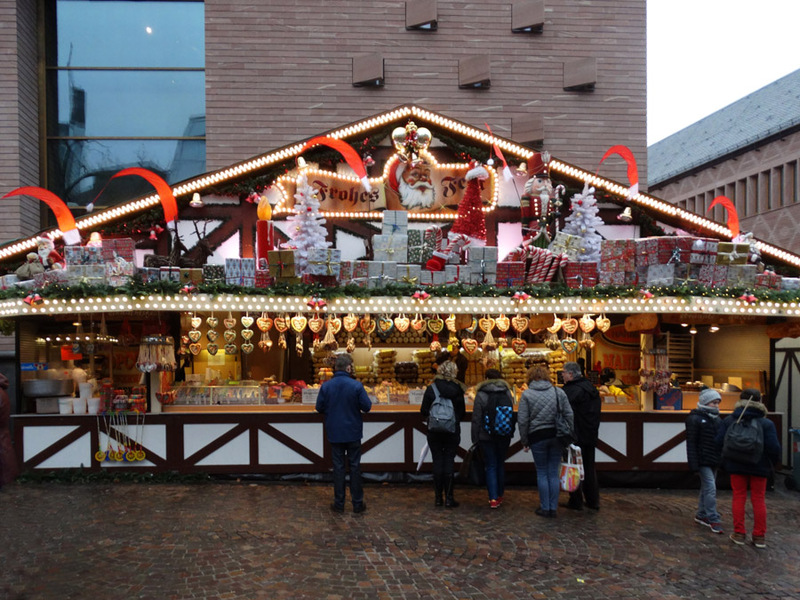 The Christmas Market features glass art and wooden and tin toys. 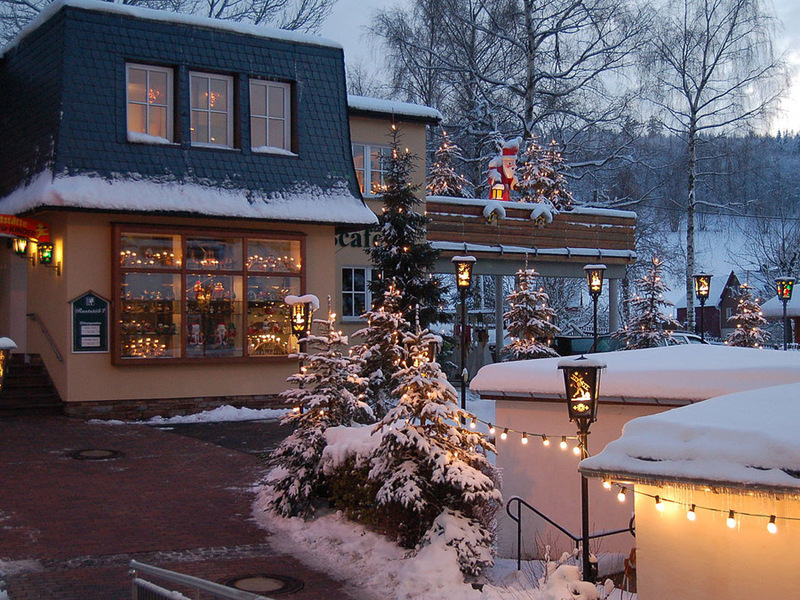 Favourite treats include roasted almonds and fresh Stollen cake. 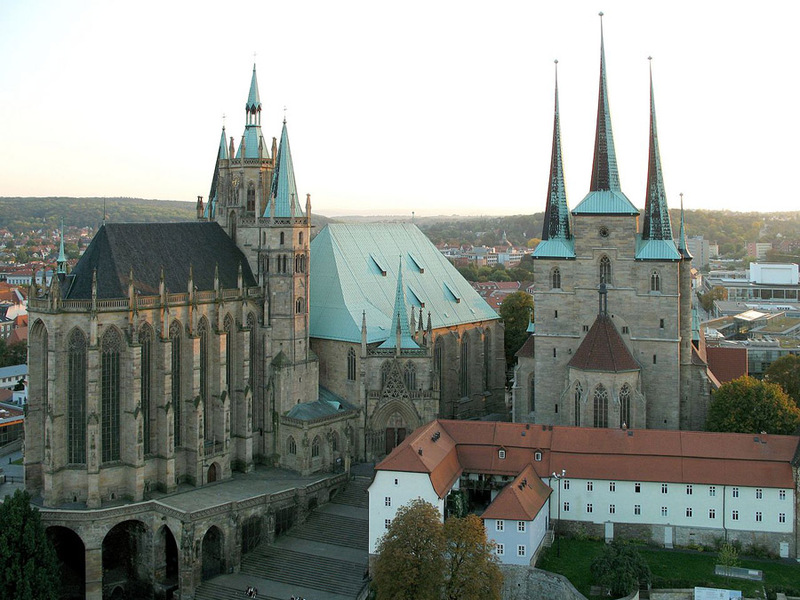 Erfurt's old towm is one of the best-preserved medieval city centres in Germany. 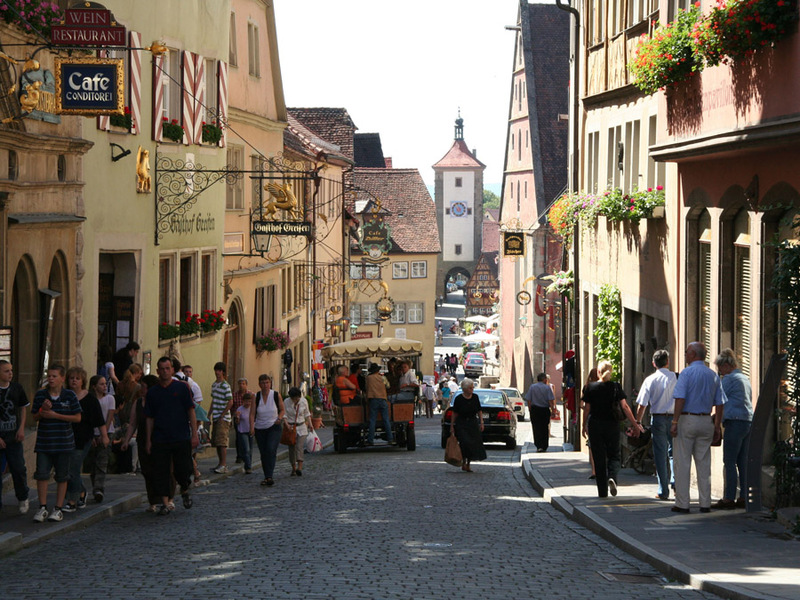 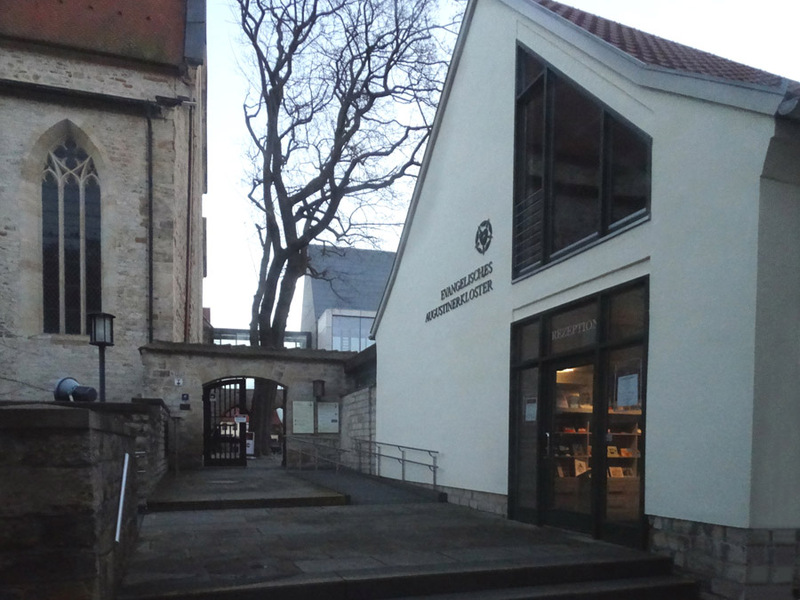 St. Augustine's Monastery is famous as the former home of Martin Luther. 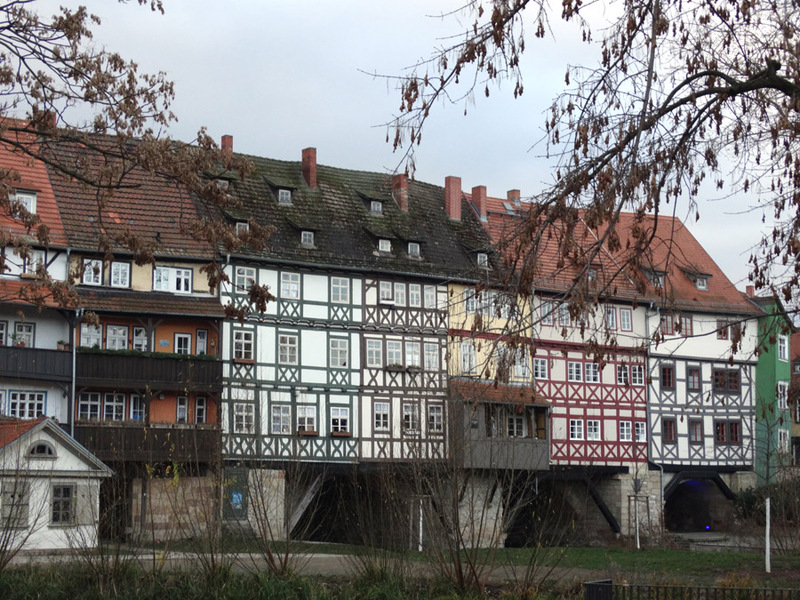 Luther, the father of the Reformation, lived here as a monk from 1505 until 1511. 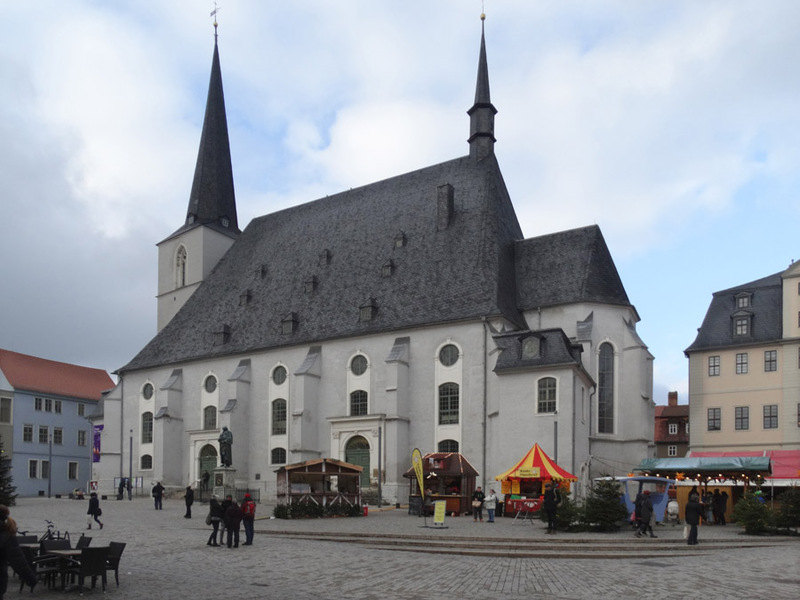 After the Reformation, from 1525 the church was used by a Lutheran congregation. 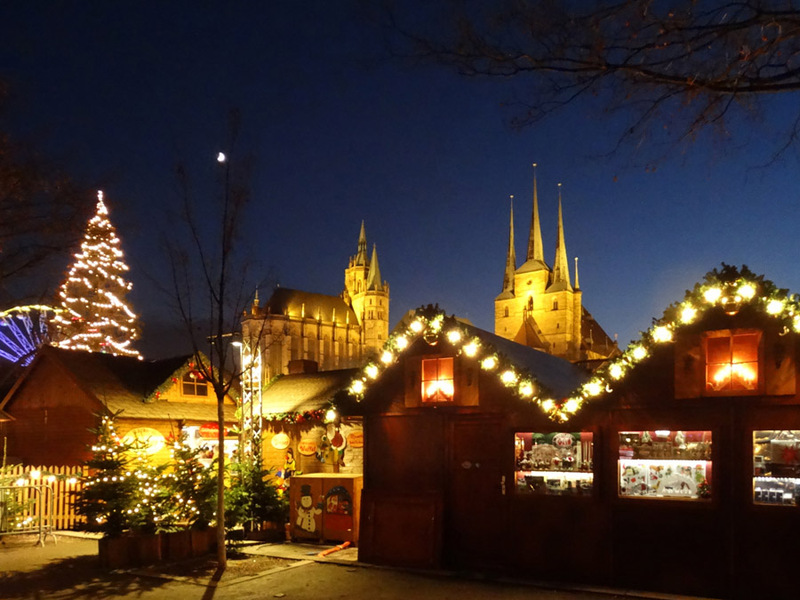 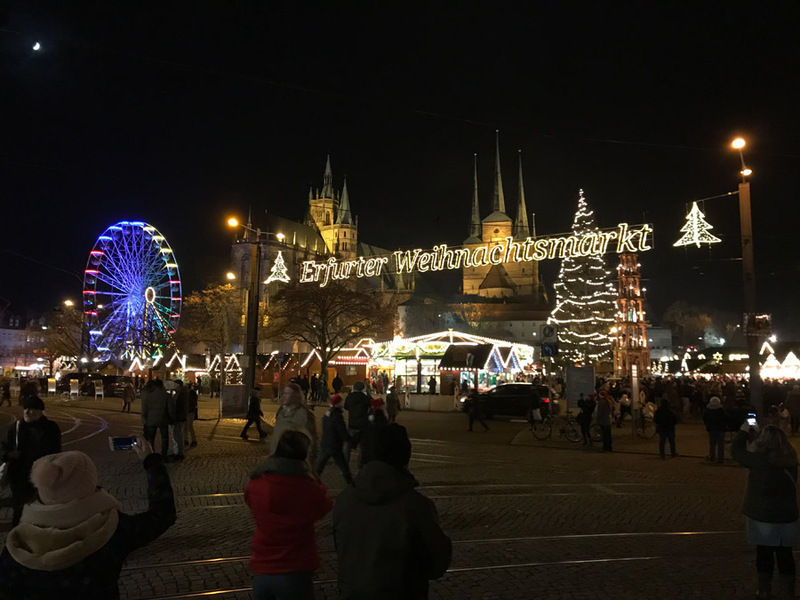 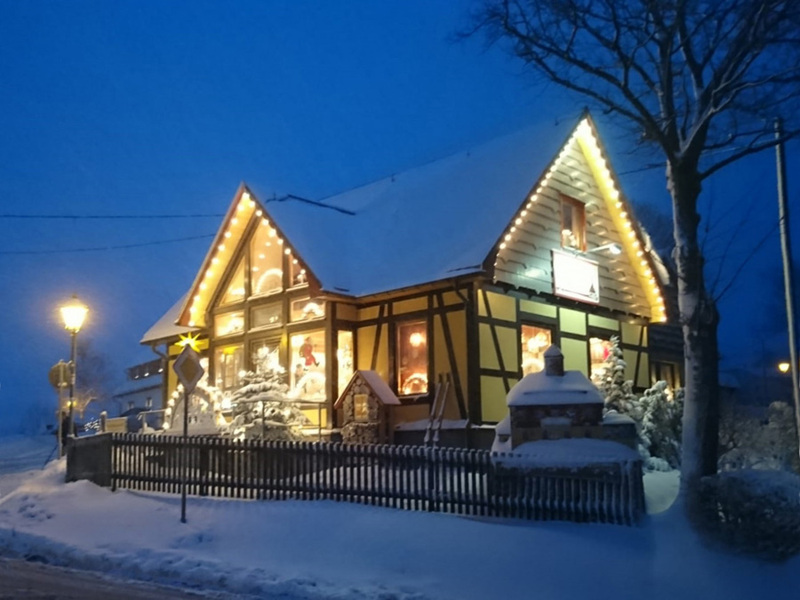 Erfurt's Christmas Market features 200 wooden huts with gifts and tasty treats. 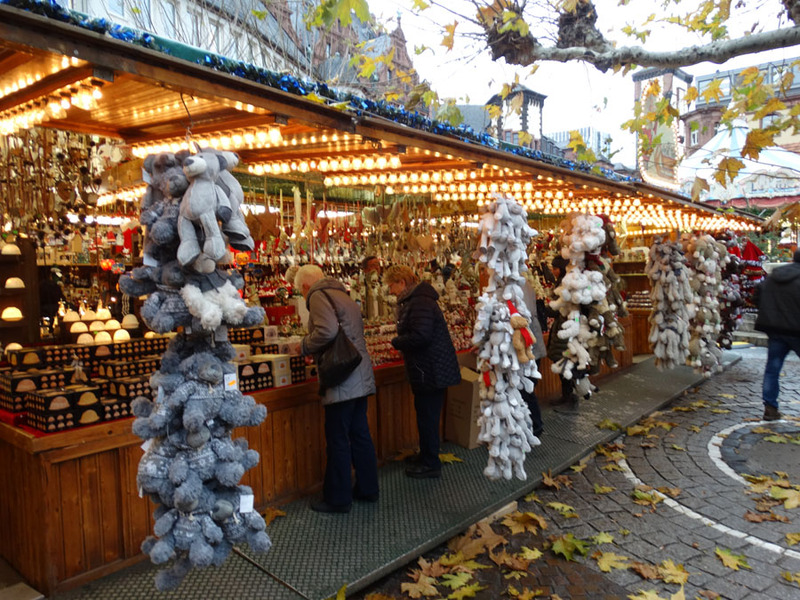 Christmas wares, traditional blue-dyed fabrics, pottery, and crafts are on offer. 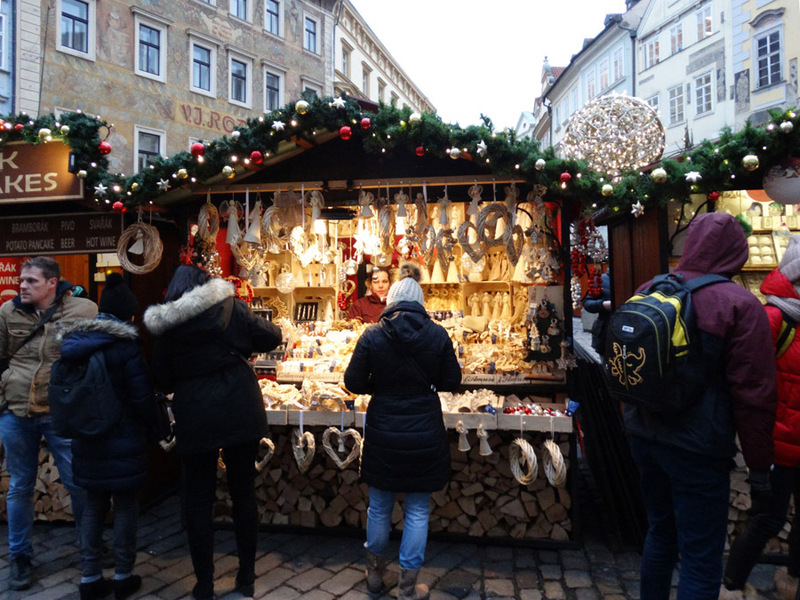 Favourite snacks are Thuringian bratwurst and Erfurt schittchen, a stollen. 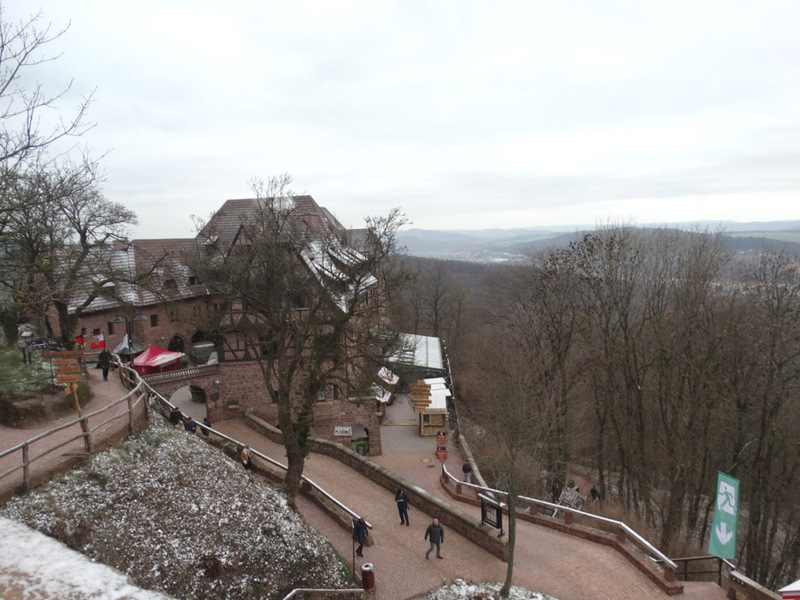 Wartburg Castle is perched on a cliff 400 m / 1300 ft above the countryside. 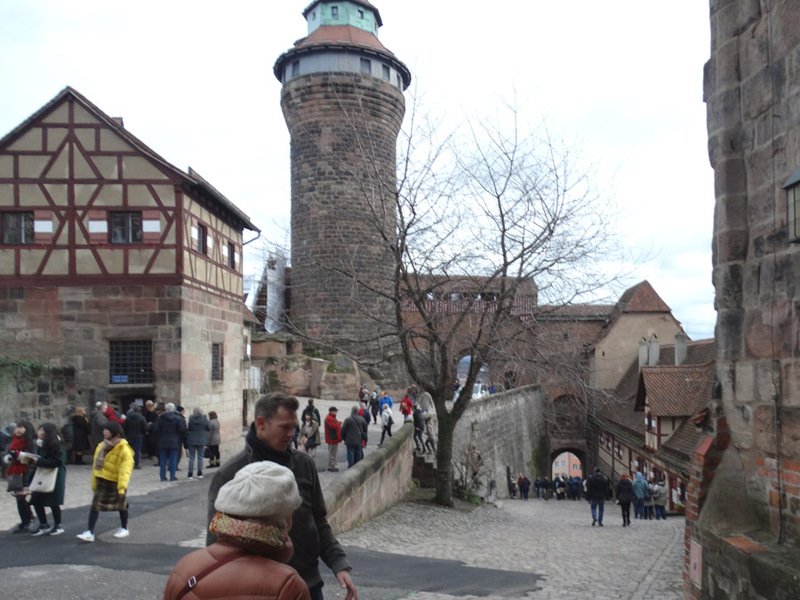 Martin Luther translated the bible into German while hiding here in 1521-22. 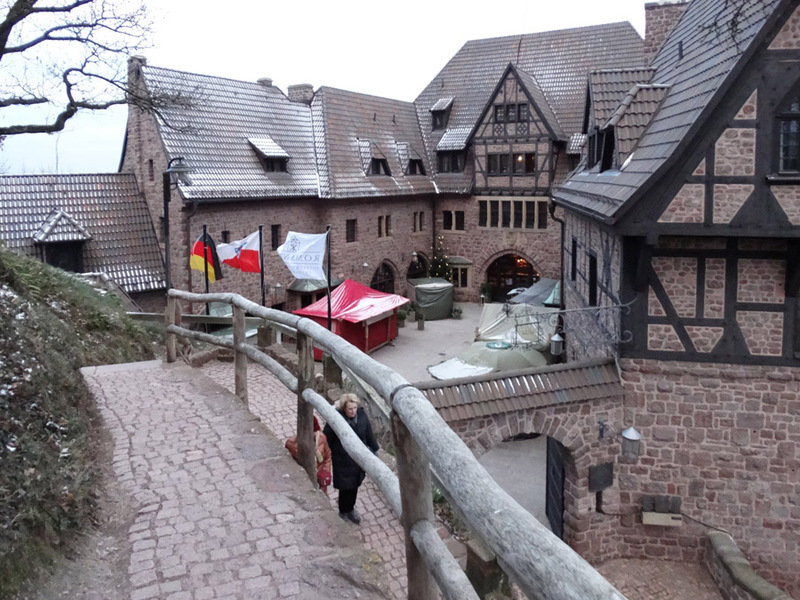 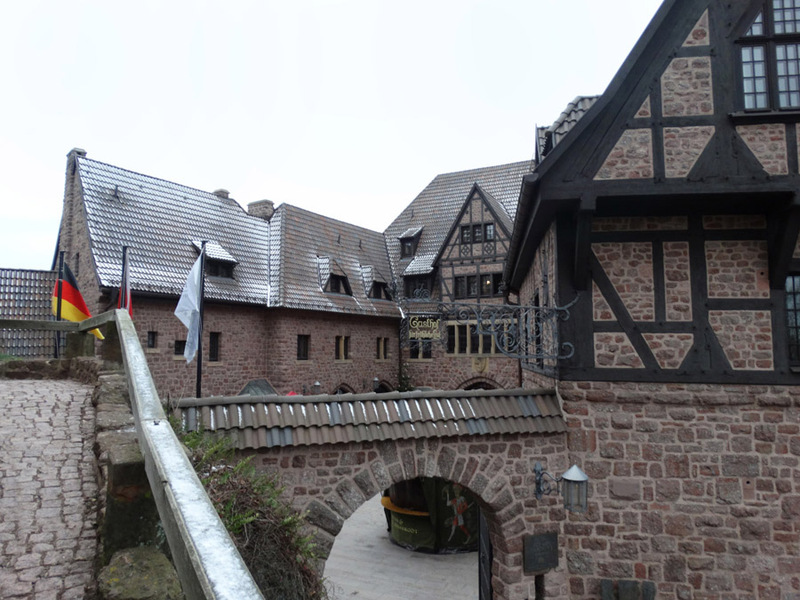 The location provides a commanding view of Eisenach and the valley. 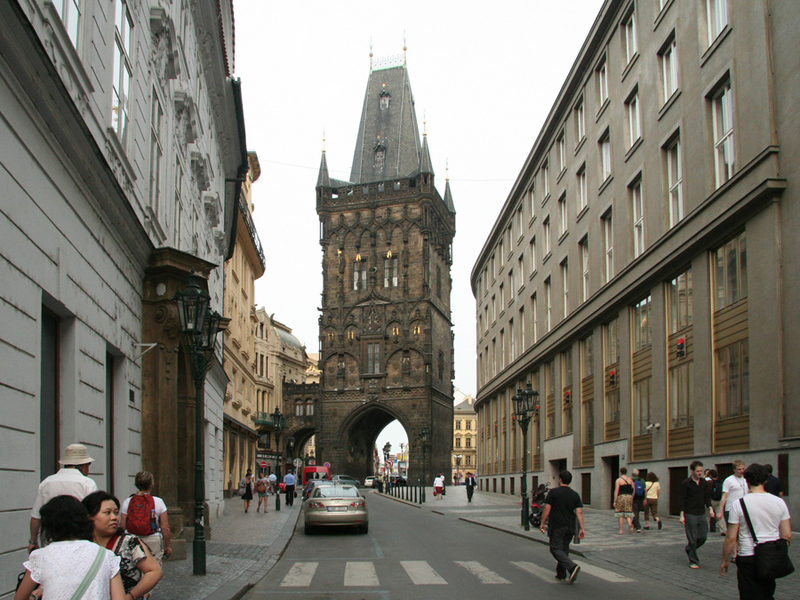 The foundation of this UNESCO World Heritage Site dates from 1067. 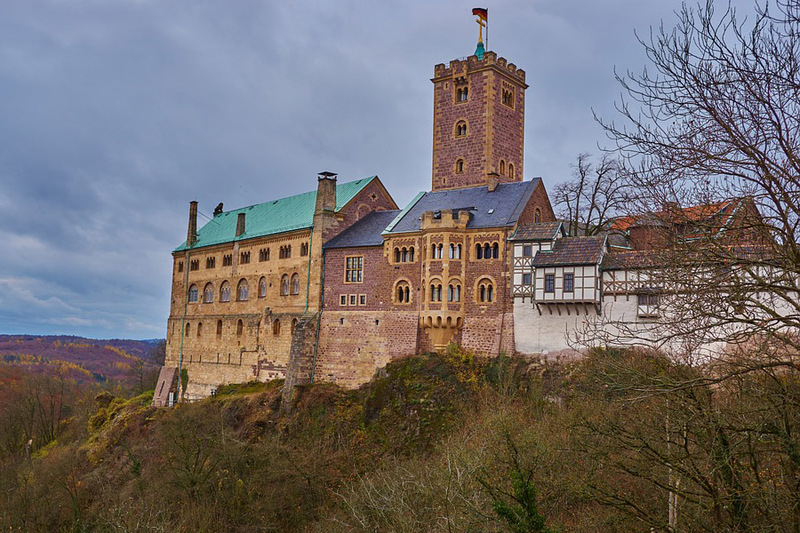 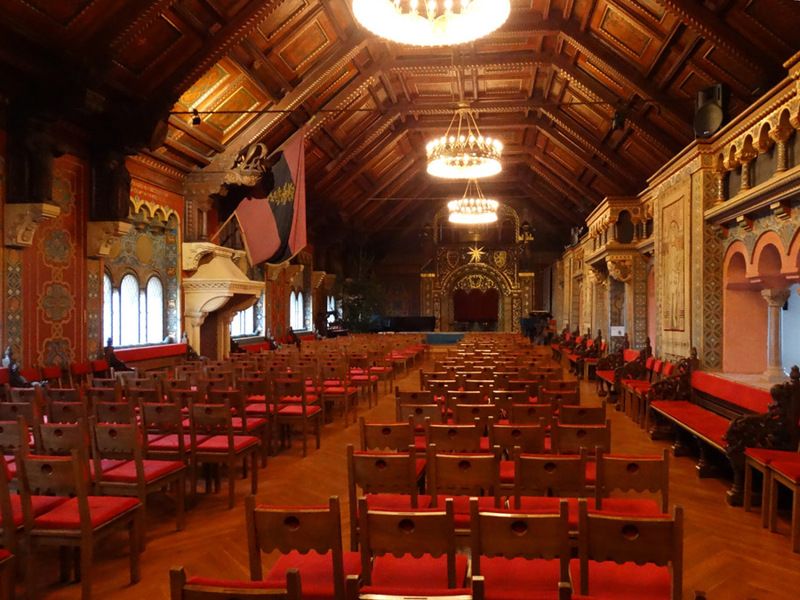 The castle's Palas (Great Hall) was built between 1157 and 1170. 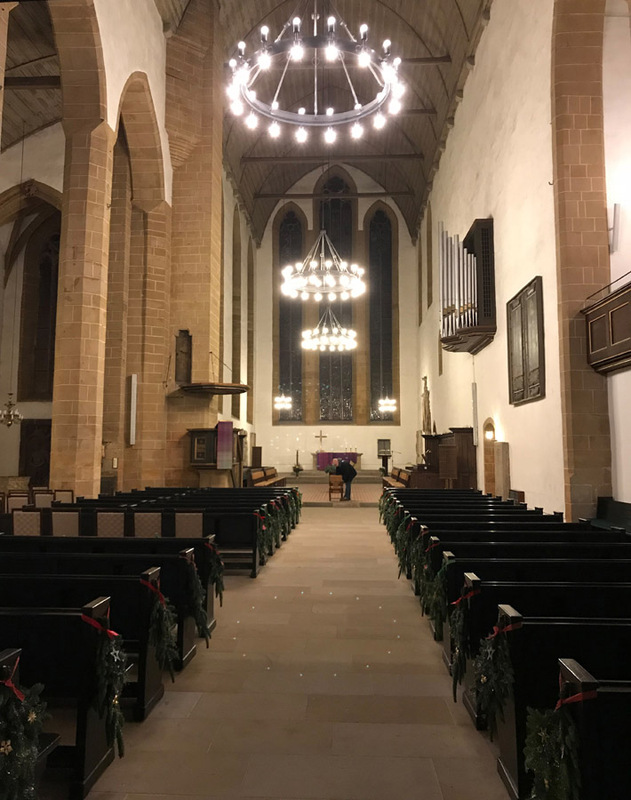 Luther completed his translation in just 10 weeks. 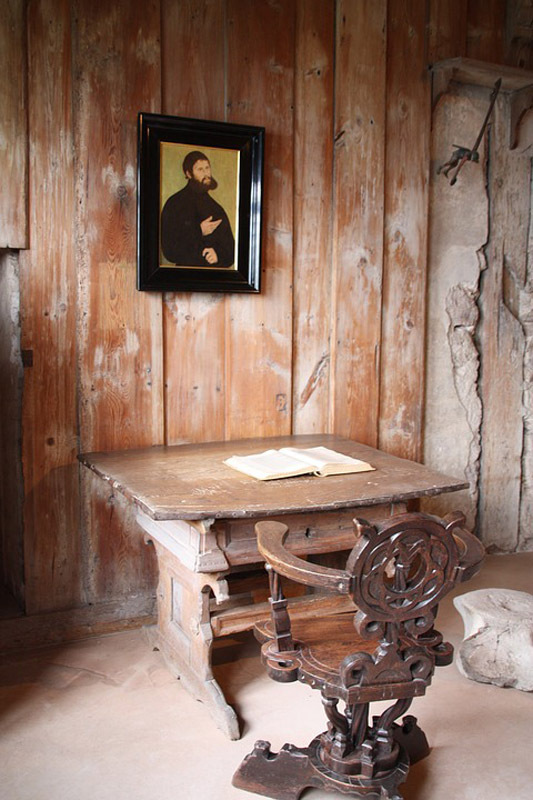 This was his writing desk. 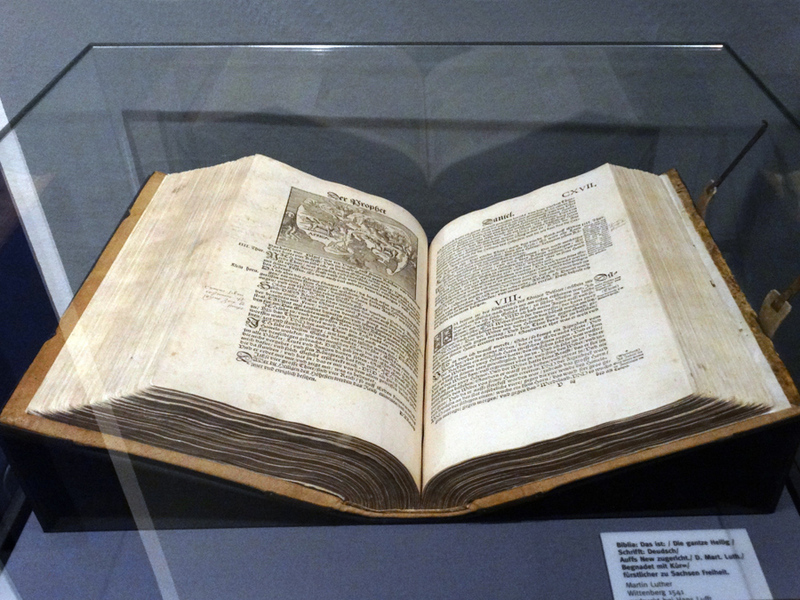 This Complete German Bible was printed by Hans Luft in 1541. 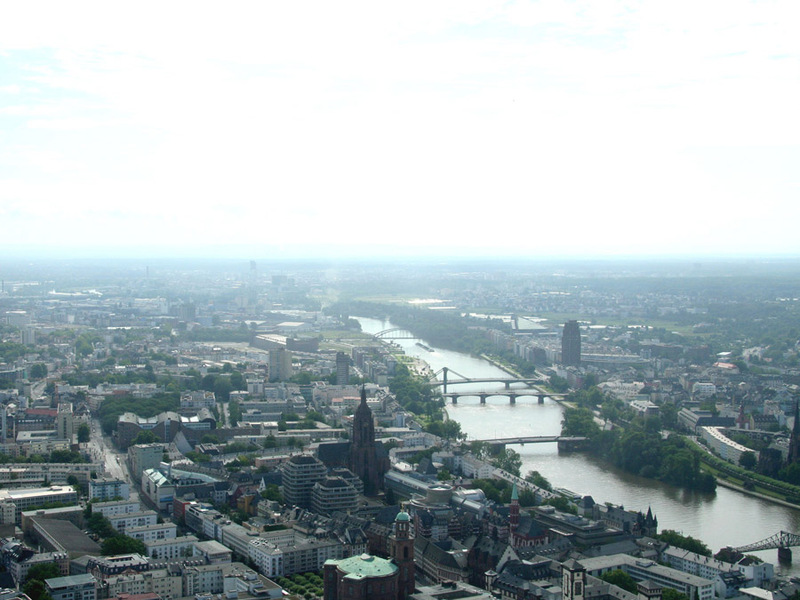 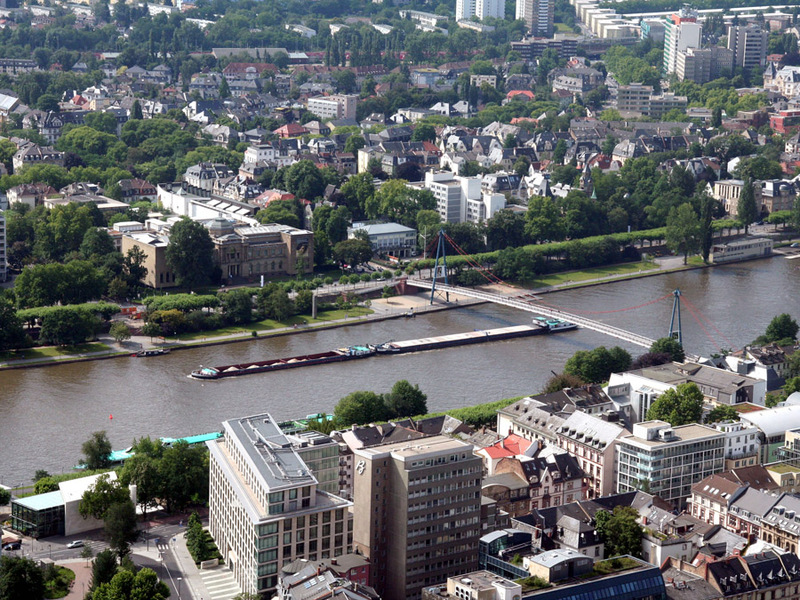 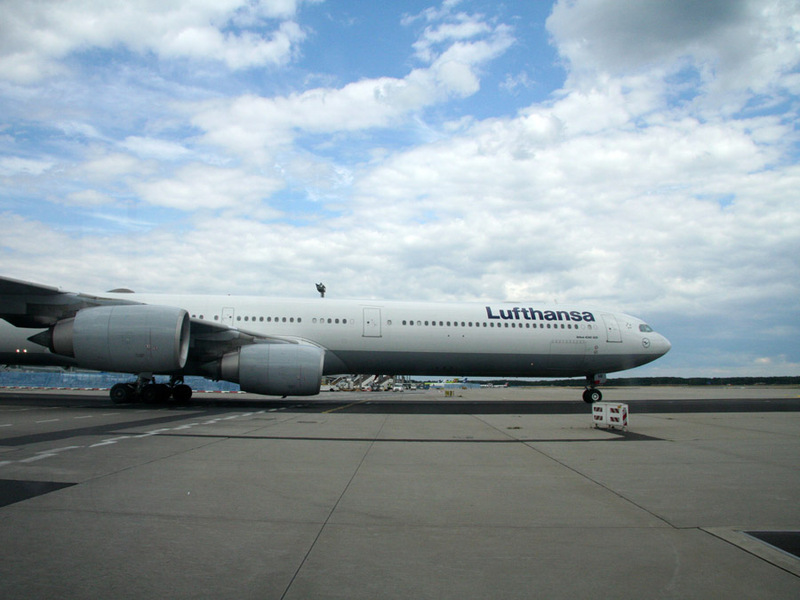 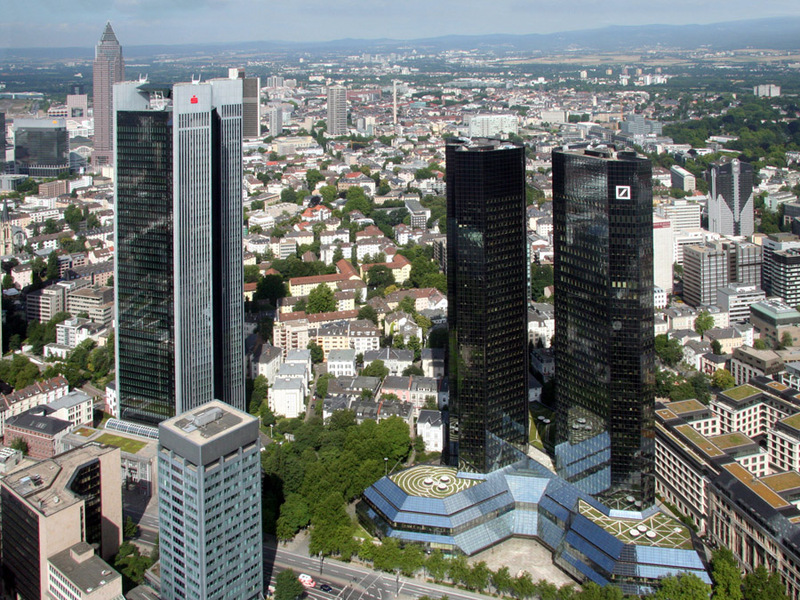 The Main River, a tributary of the Rhine, is a busy freight route..
Frankfurt has emnerged as the major financial centre of the European continent. 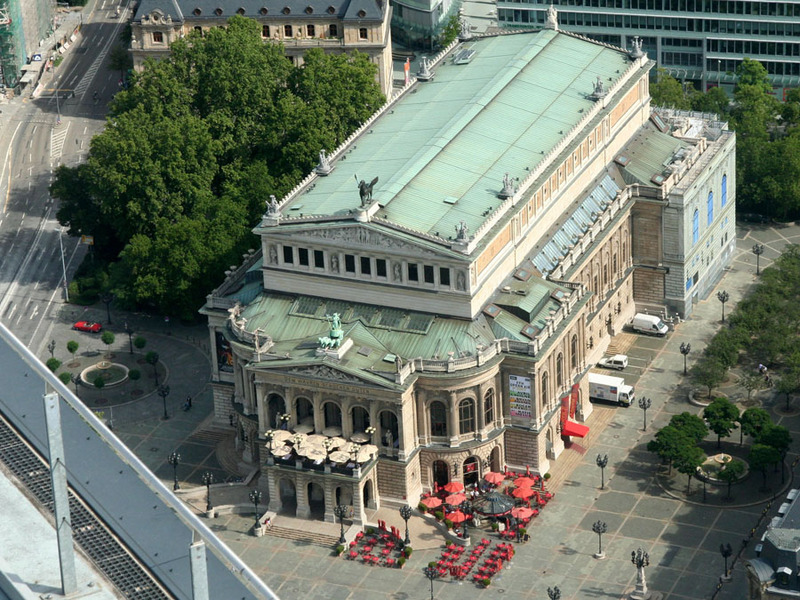 The Old Opera House, destroyed in WW II, was rebuilt from 1976 to 1981. 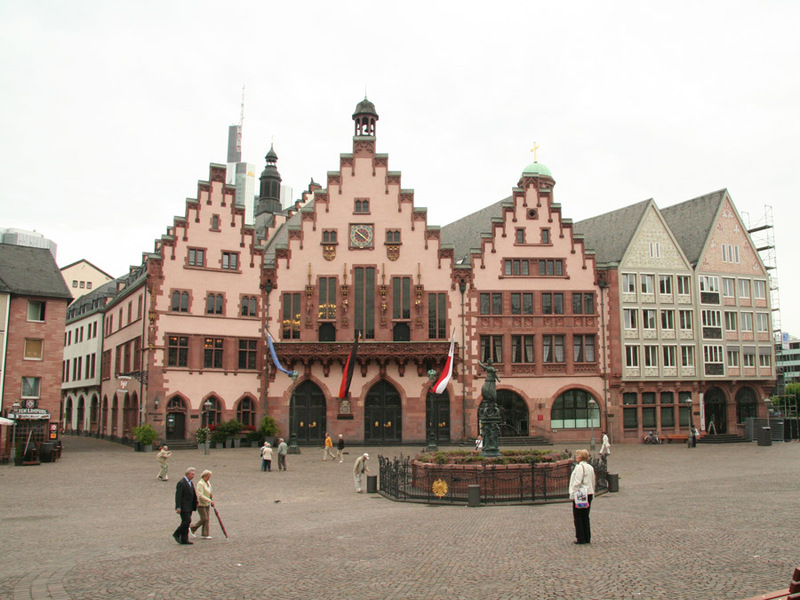 Römerberg square is the historic heart of Frankfurt's medieval Altstadt (old town). 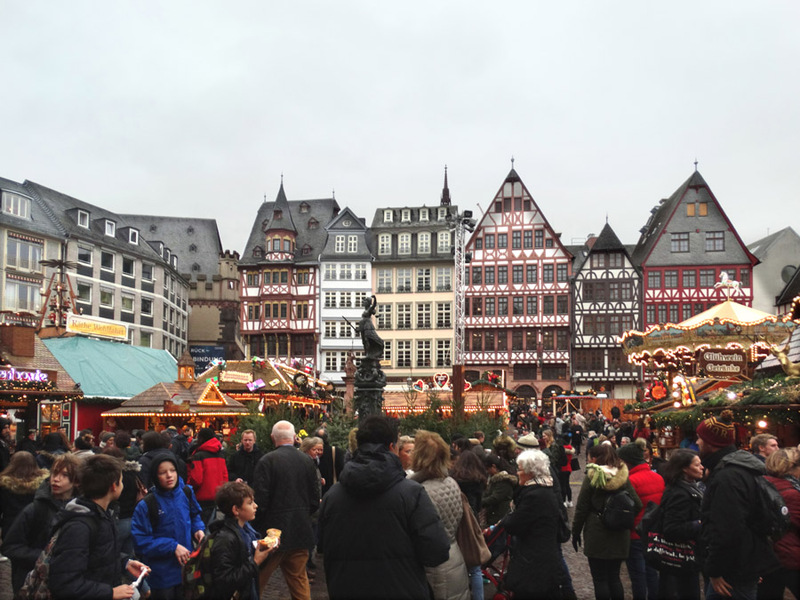 Römerberg has been the seat of Frankfurt's civic government since 1405..
Frankfurt's Christmas Market is centered on the Römerburg square. 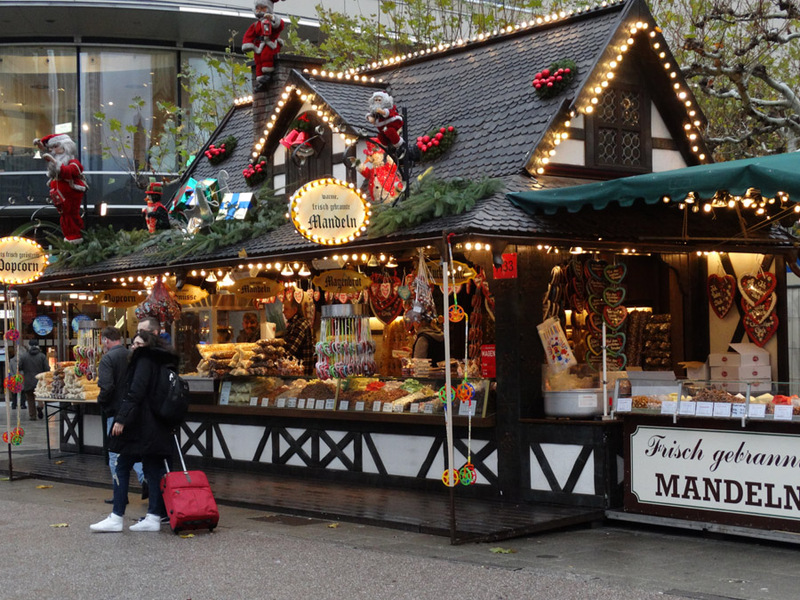 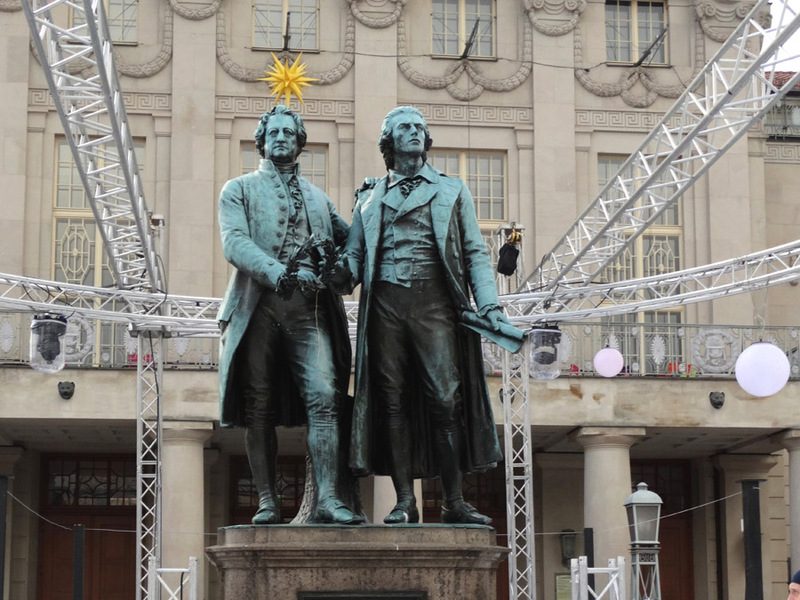 The origins of the Frankfurt Christmas Market date back to 1393. 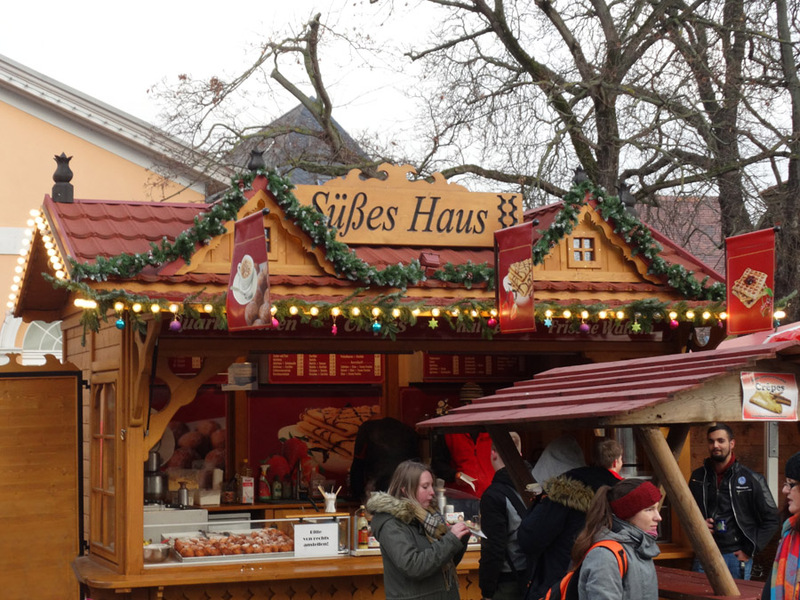 ... as well as treats both sweet and savory. 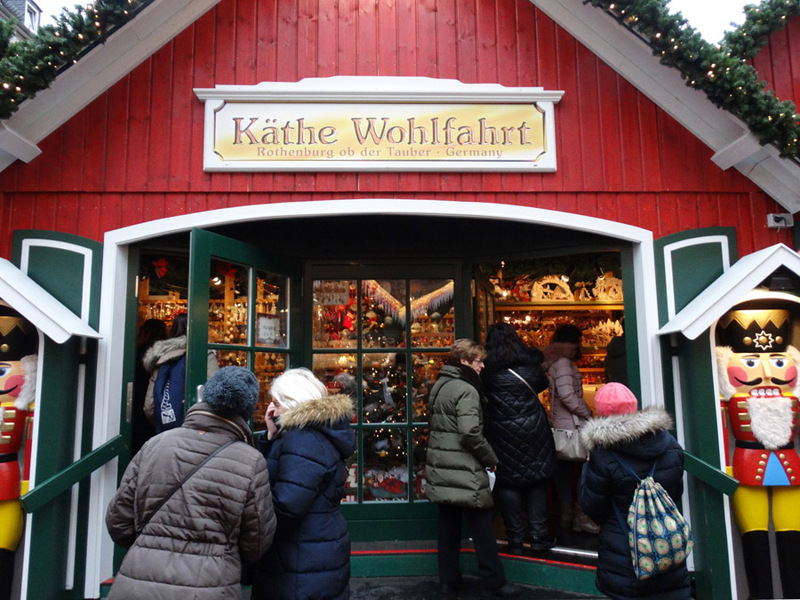 Käthe Wohlfahrt, based in Rothenburg, is everywhere, even internationally.